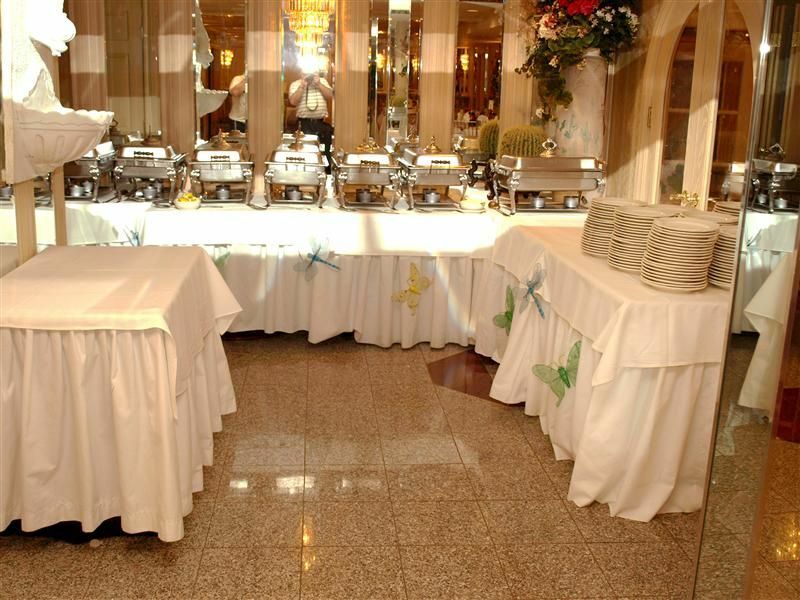 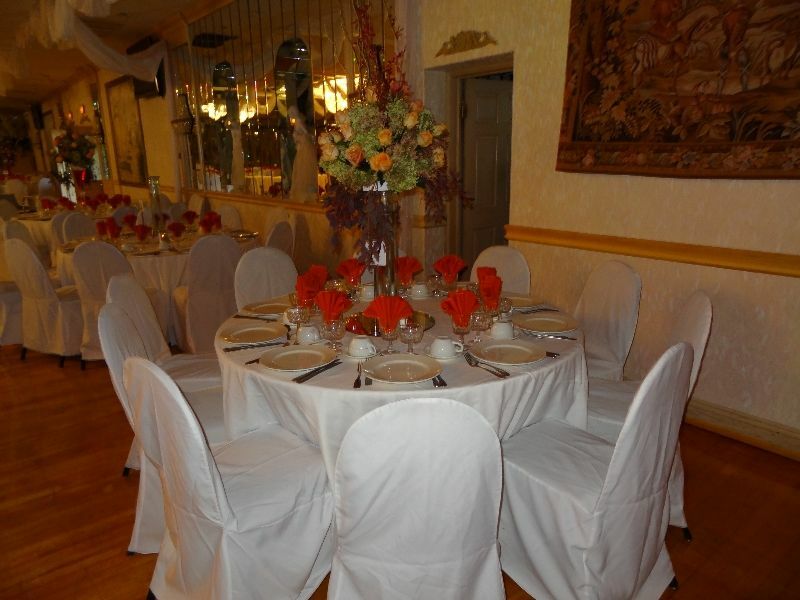 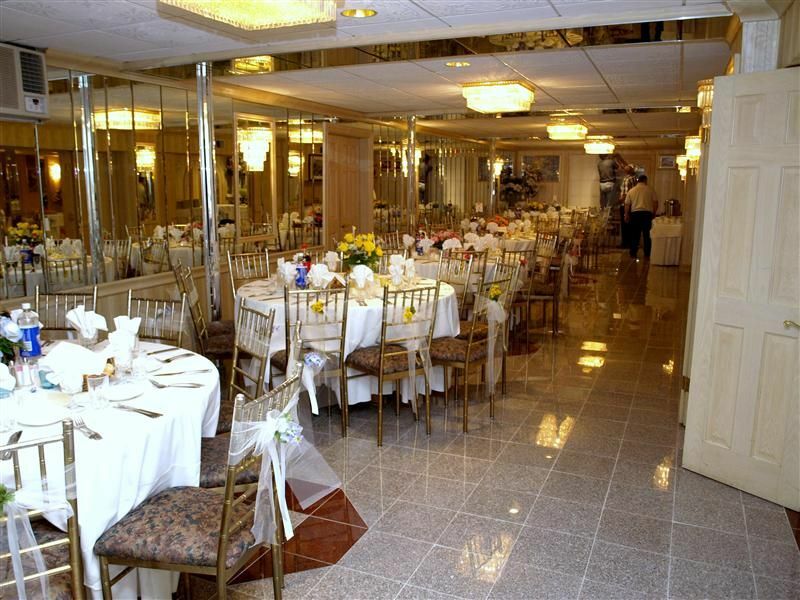 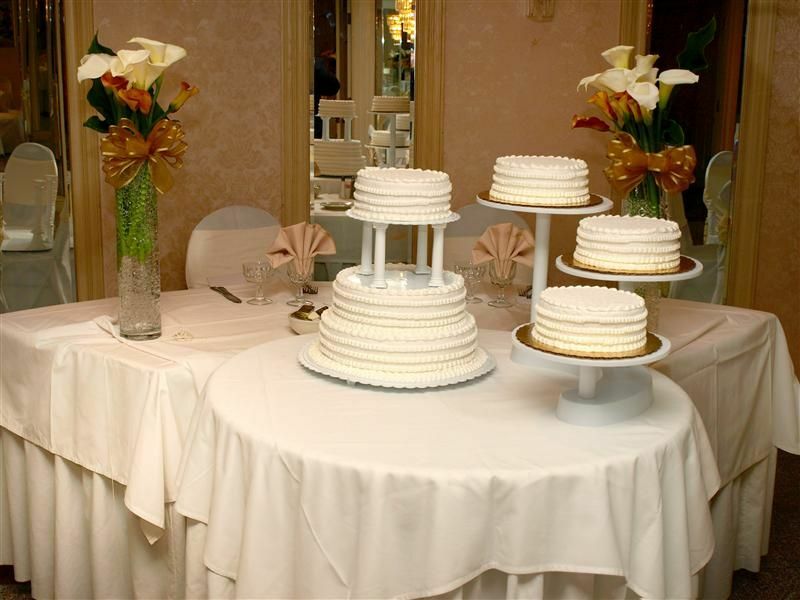 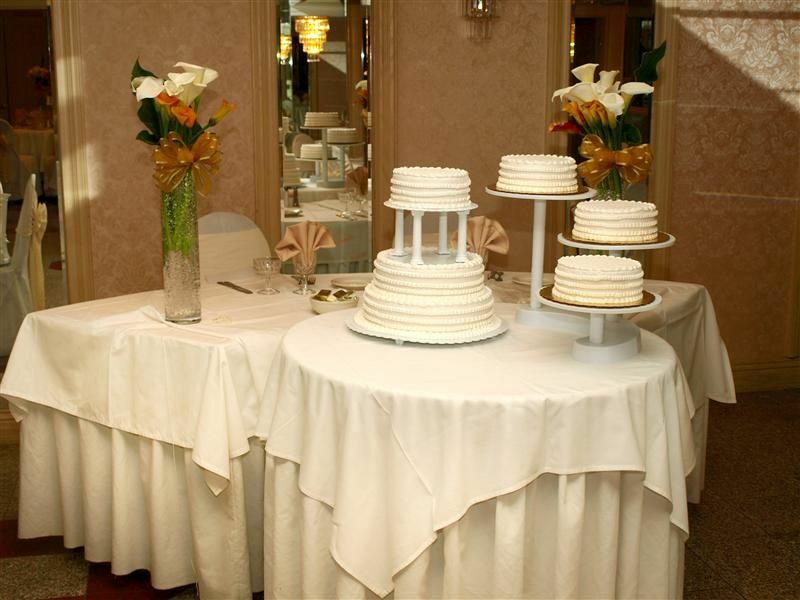 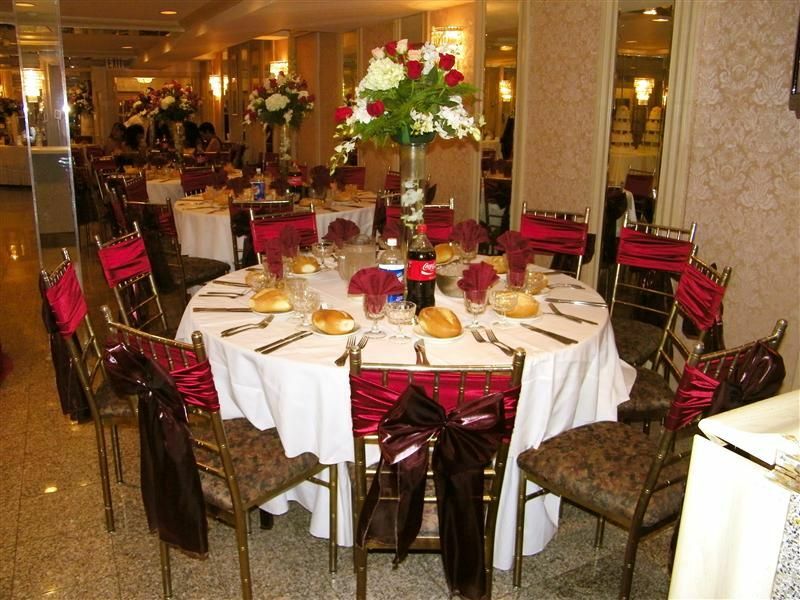 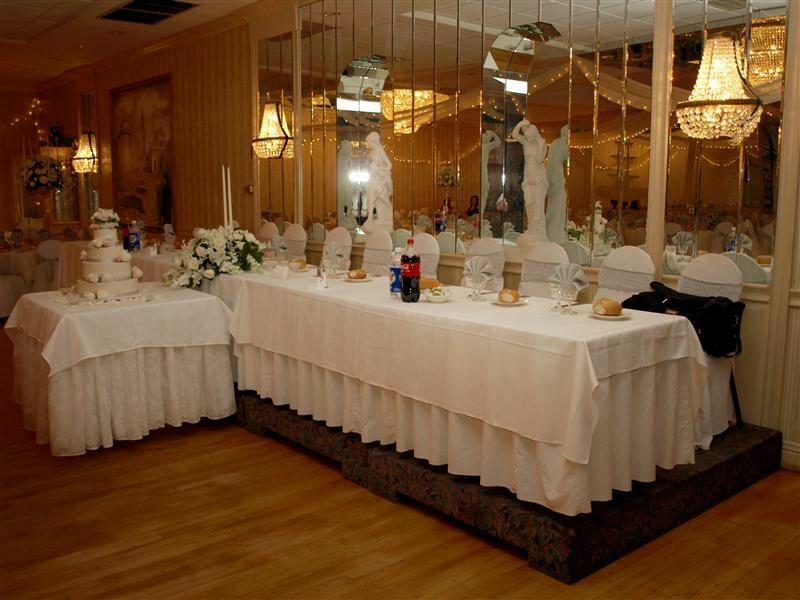 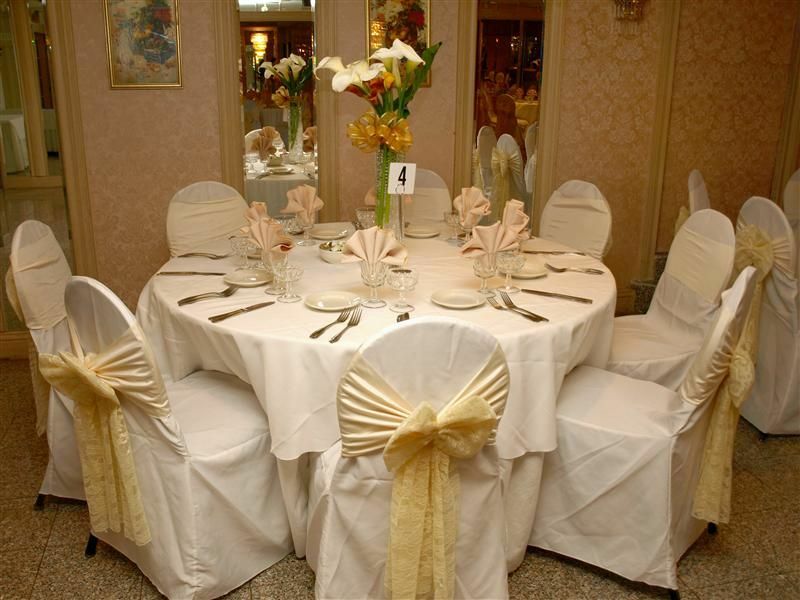 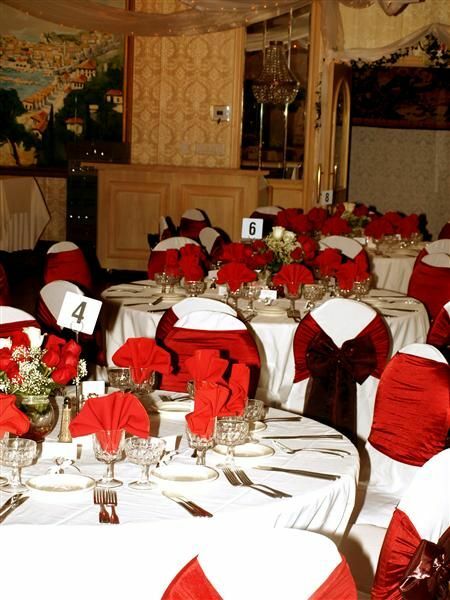 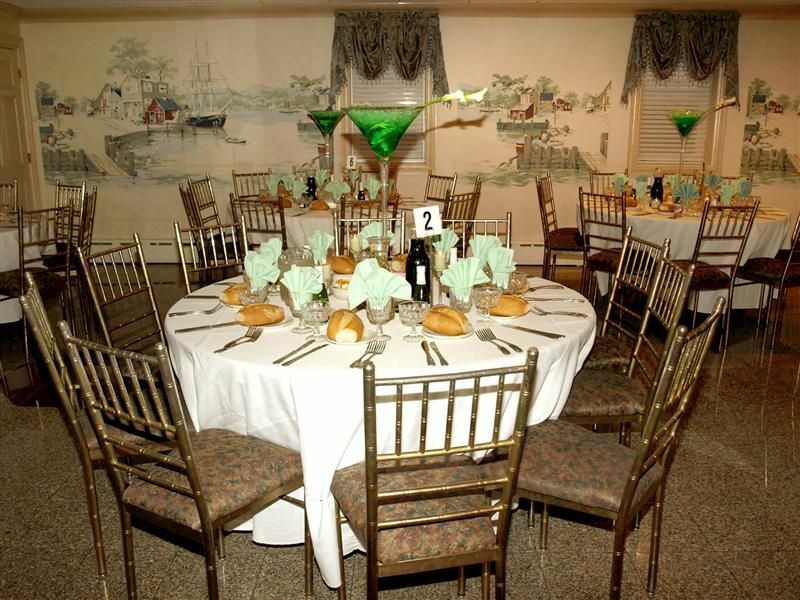 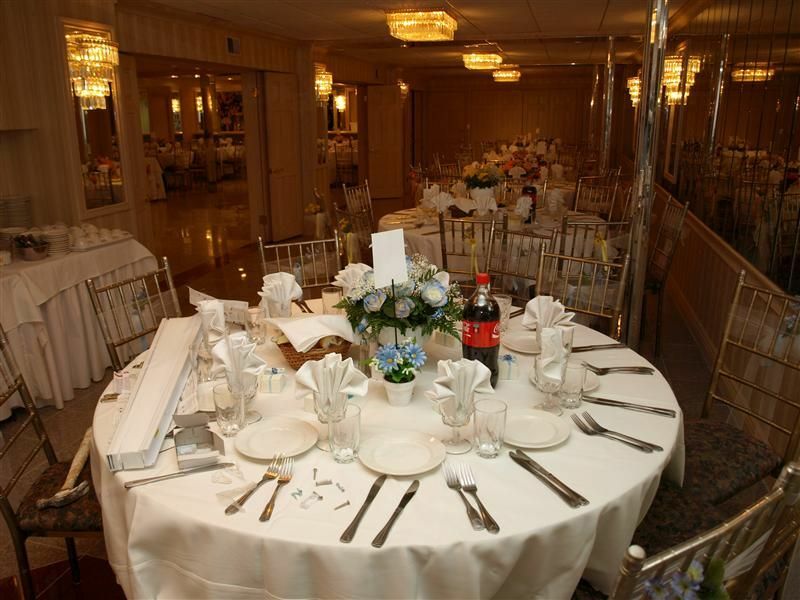 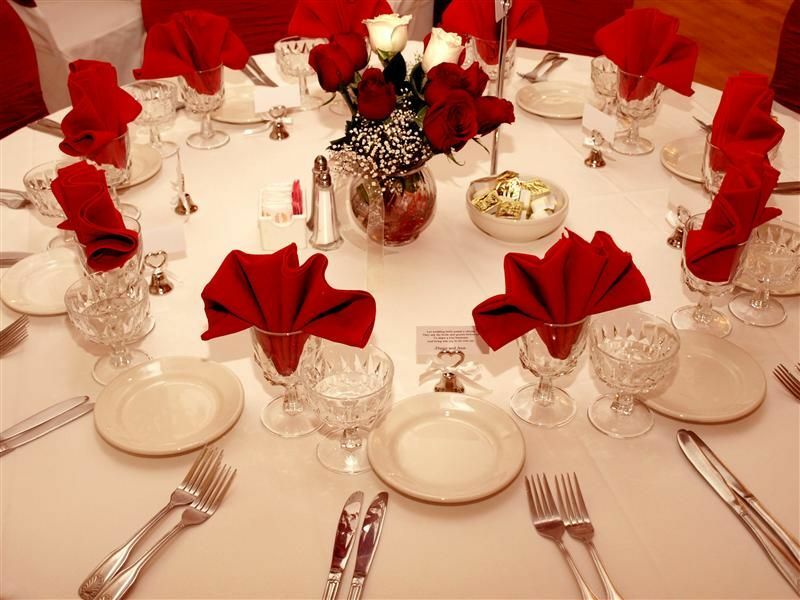 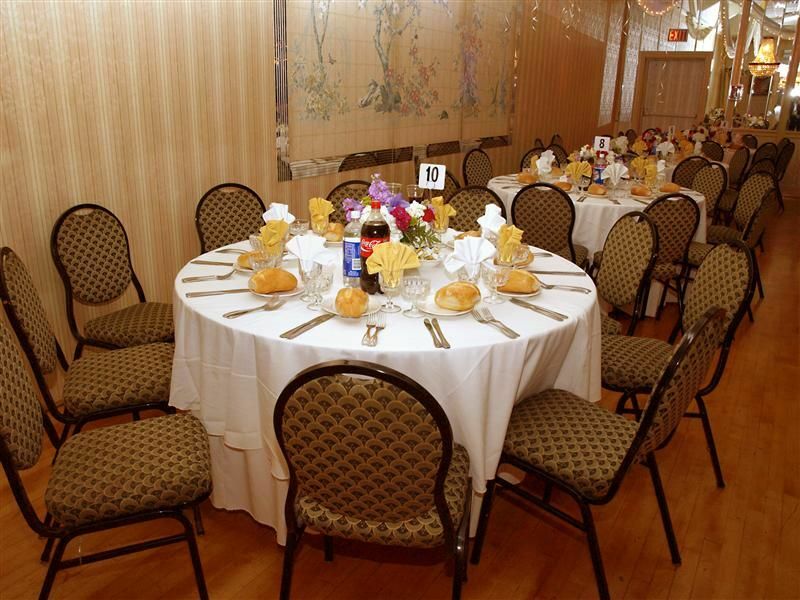 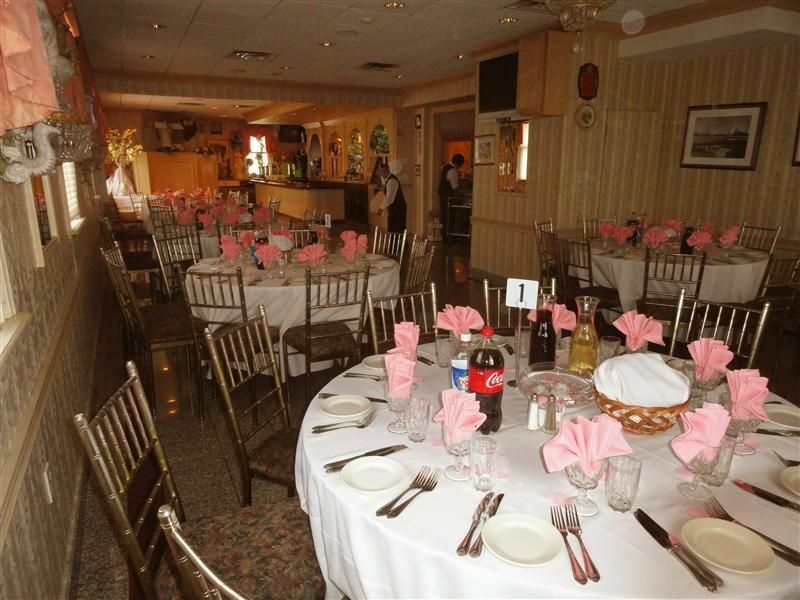 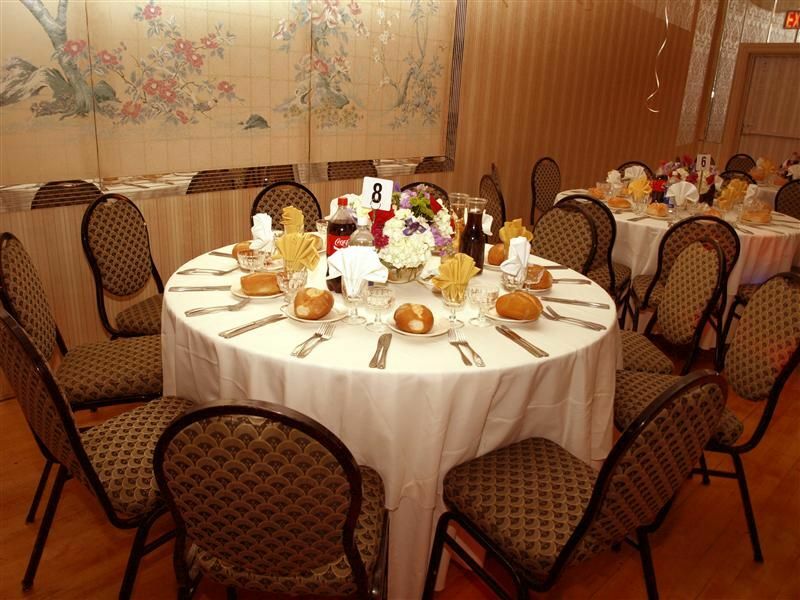 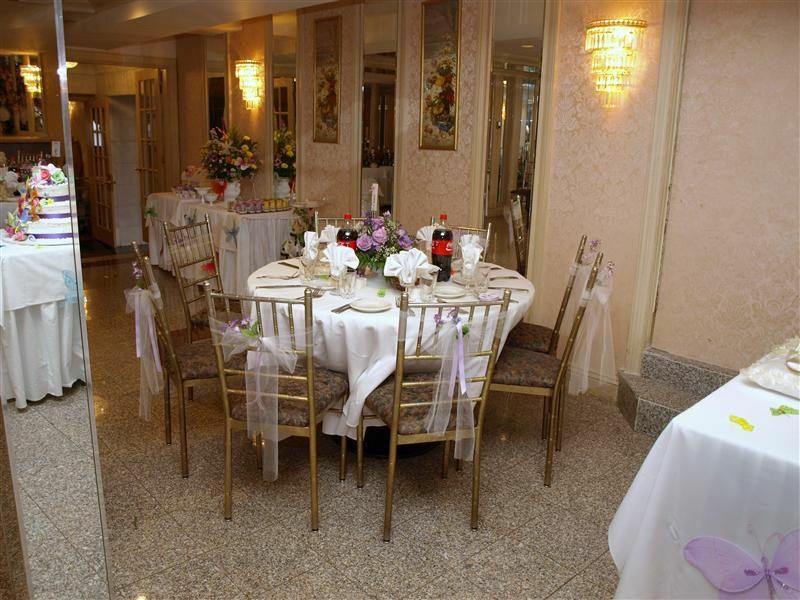 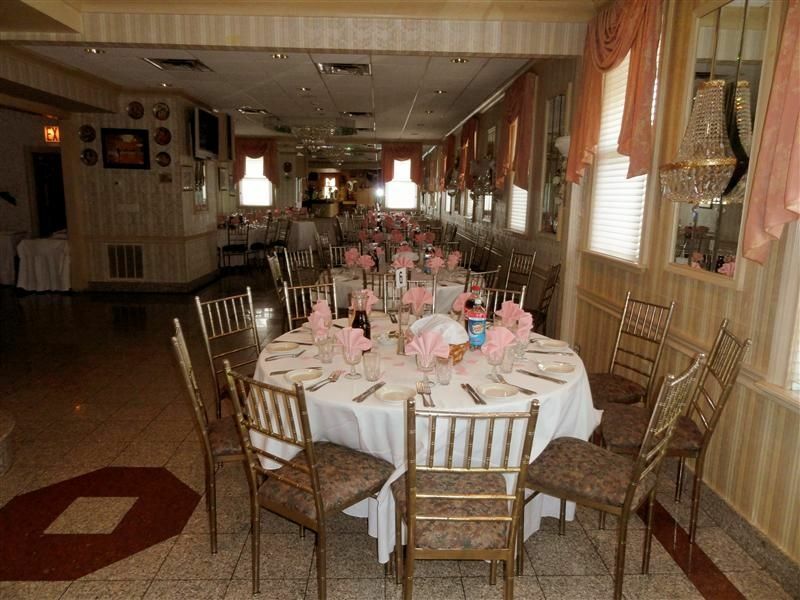 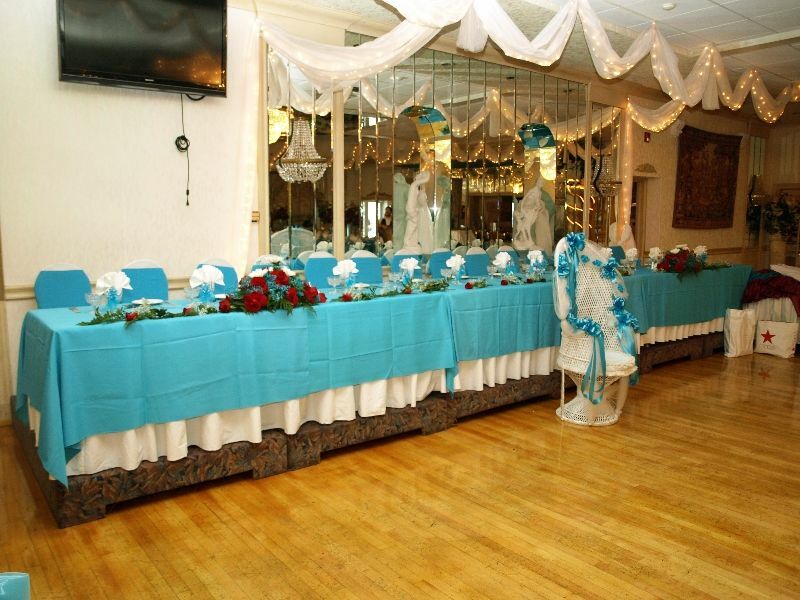 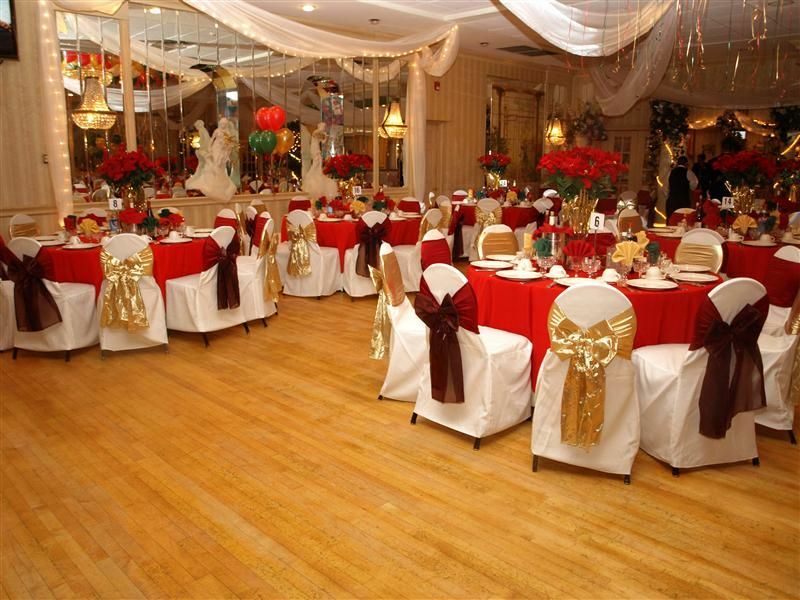 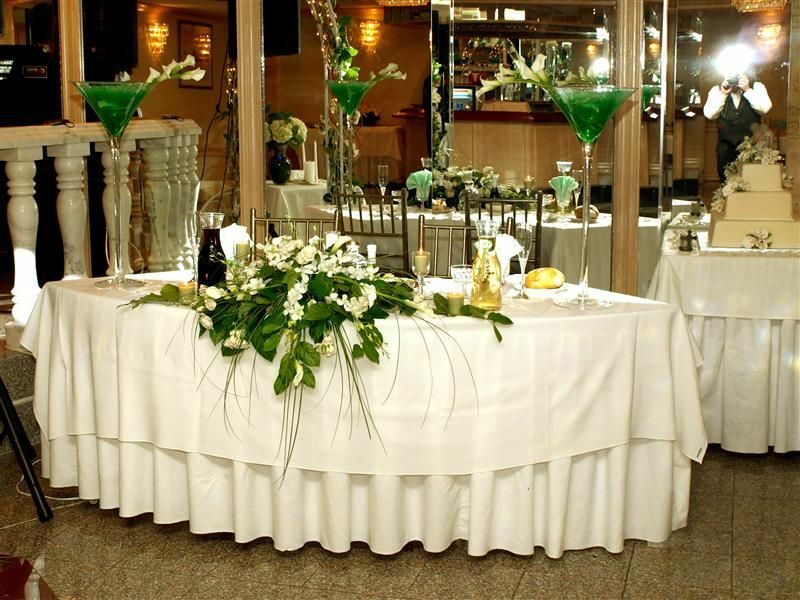 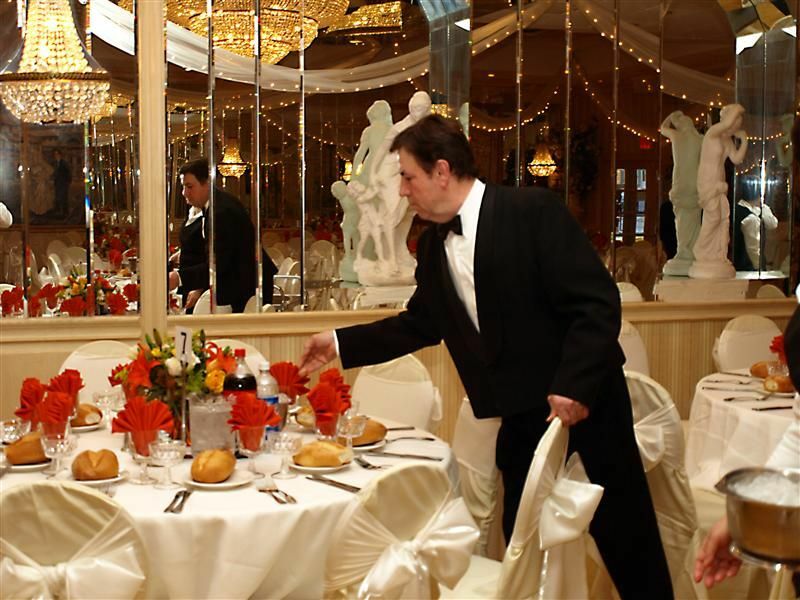 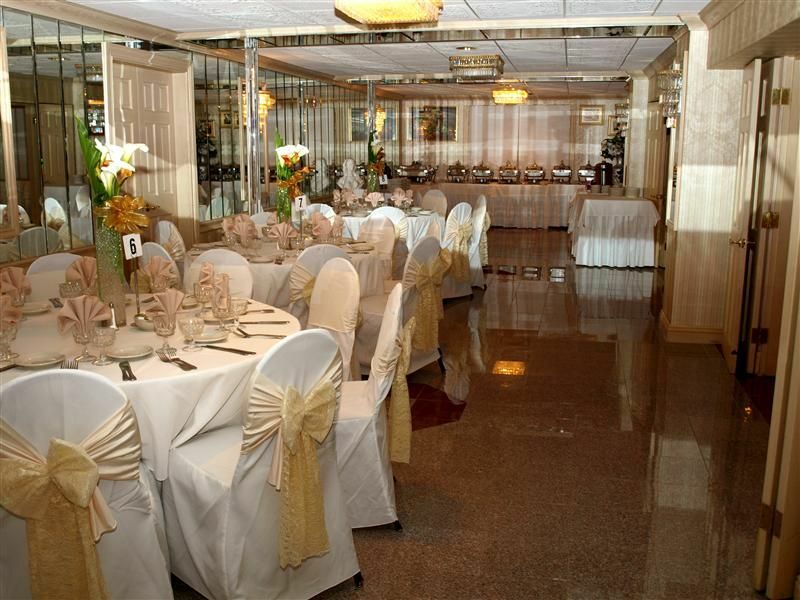 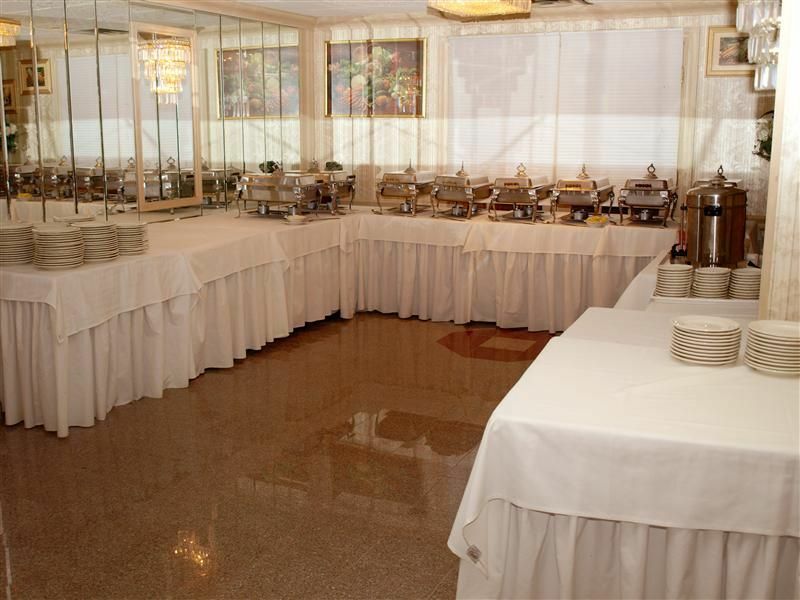 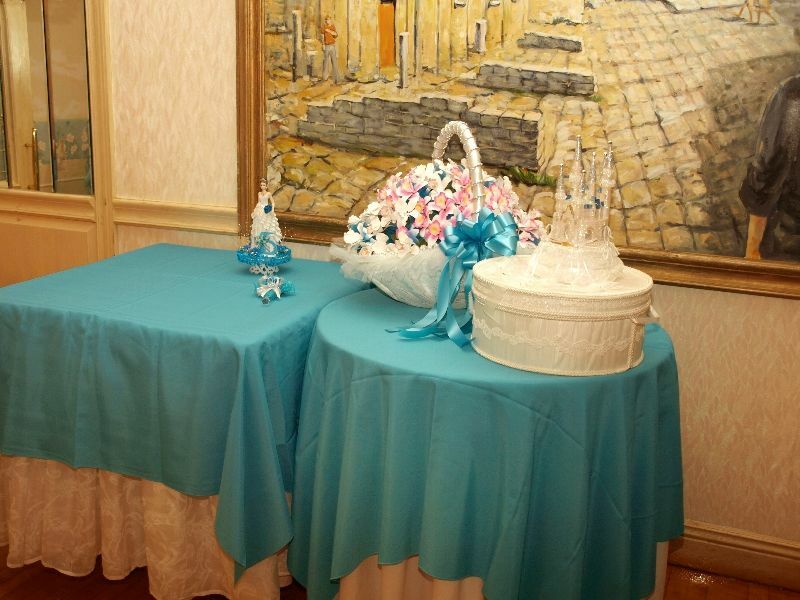 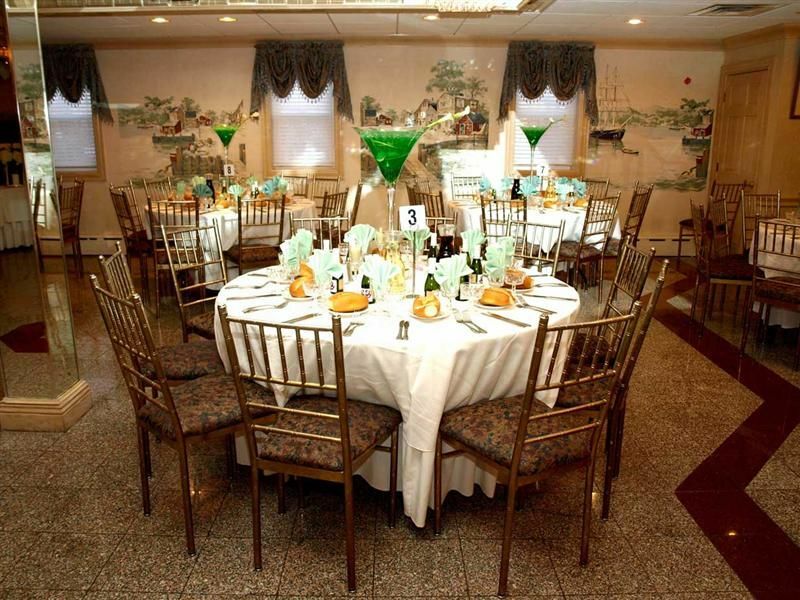 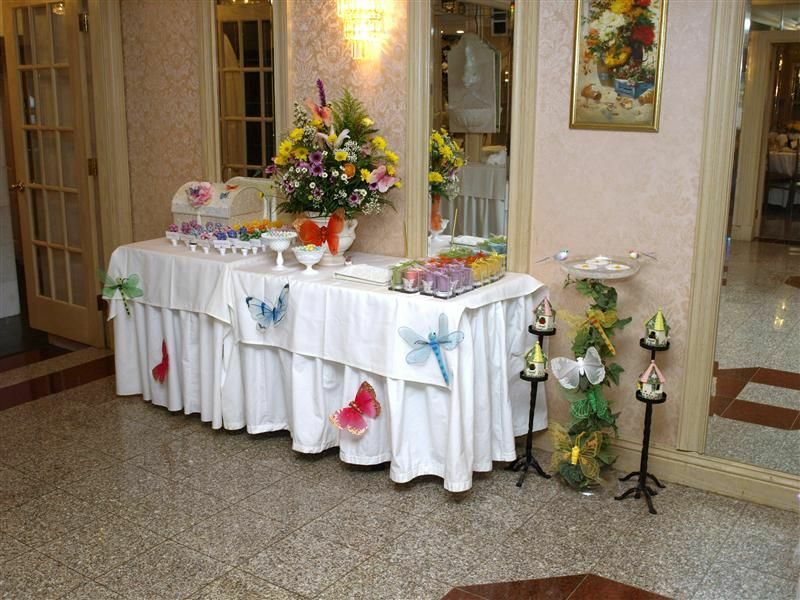 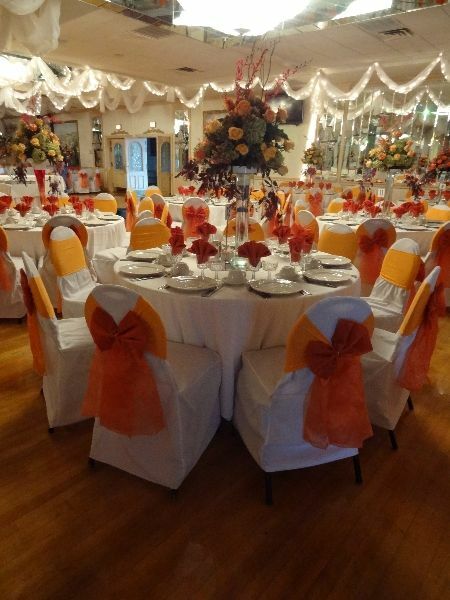 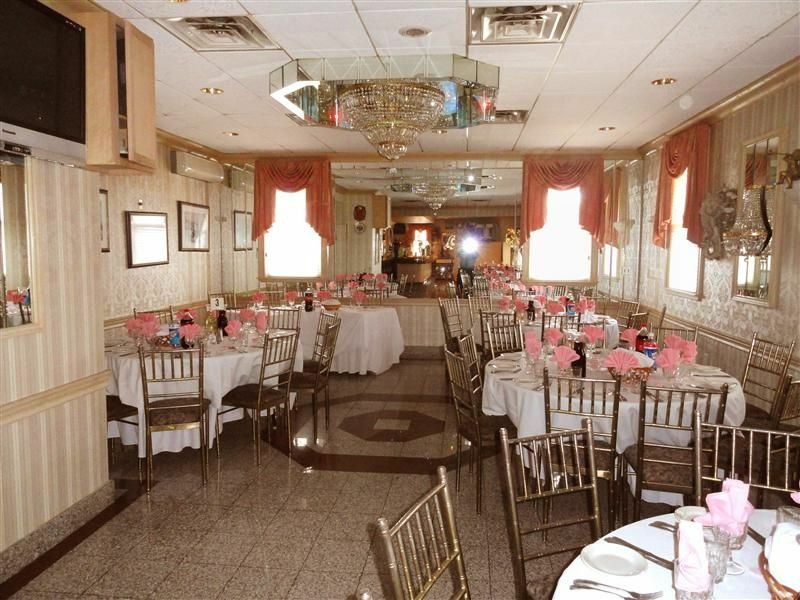 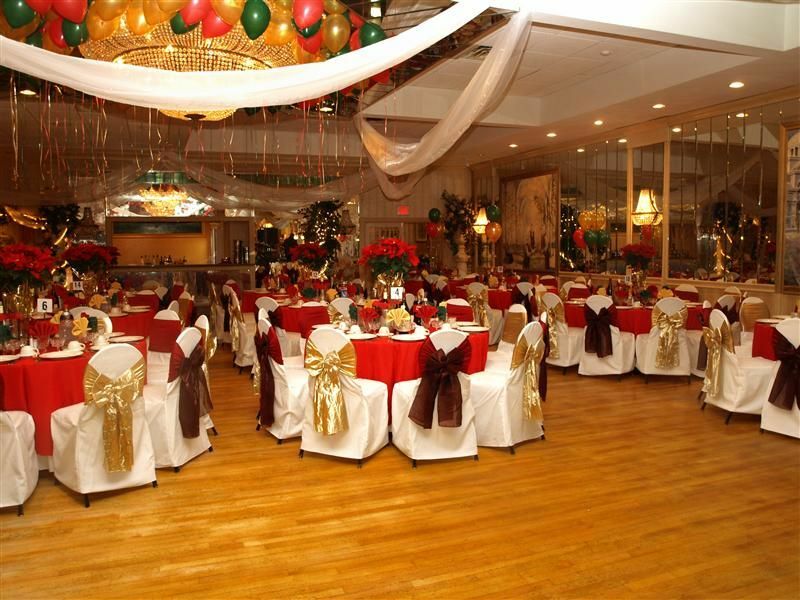 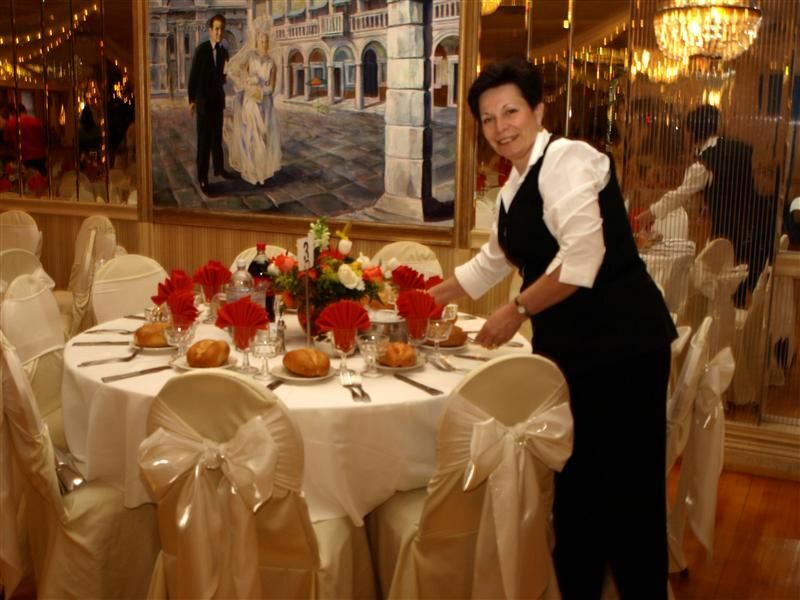 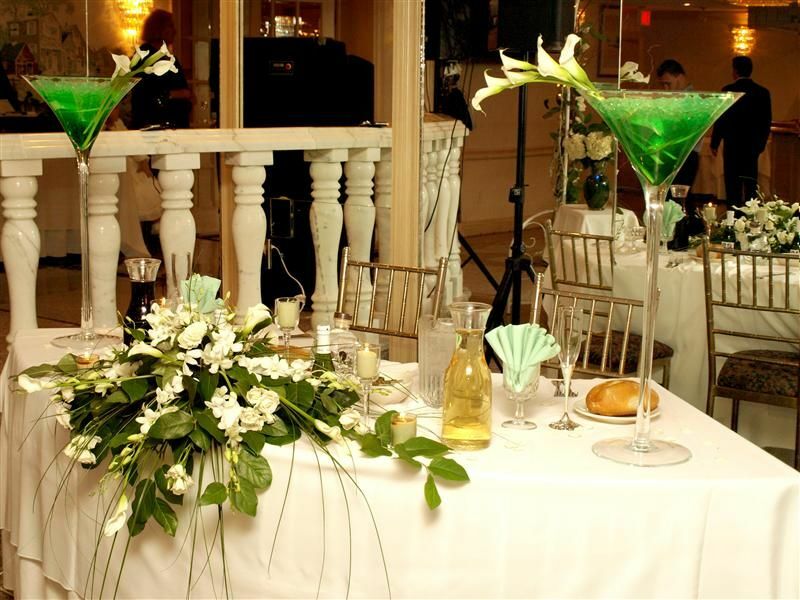 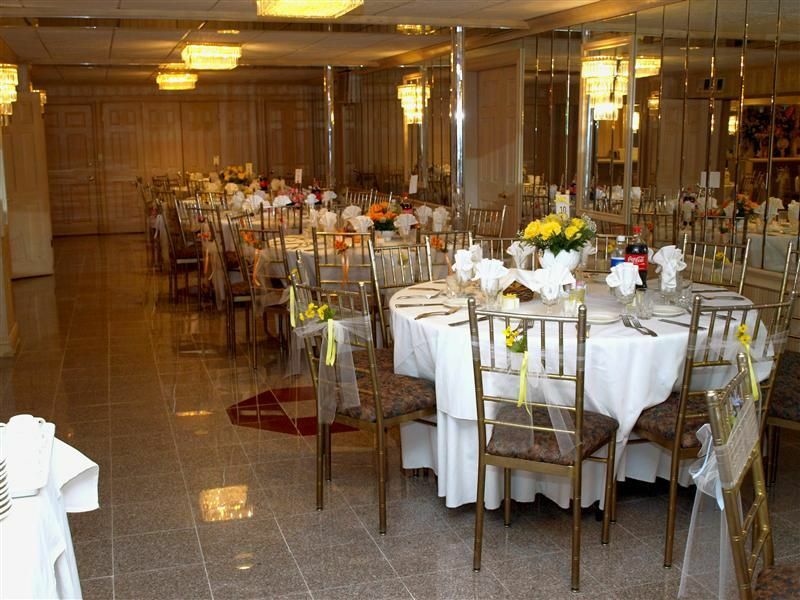 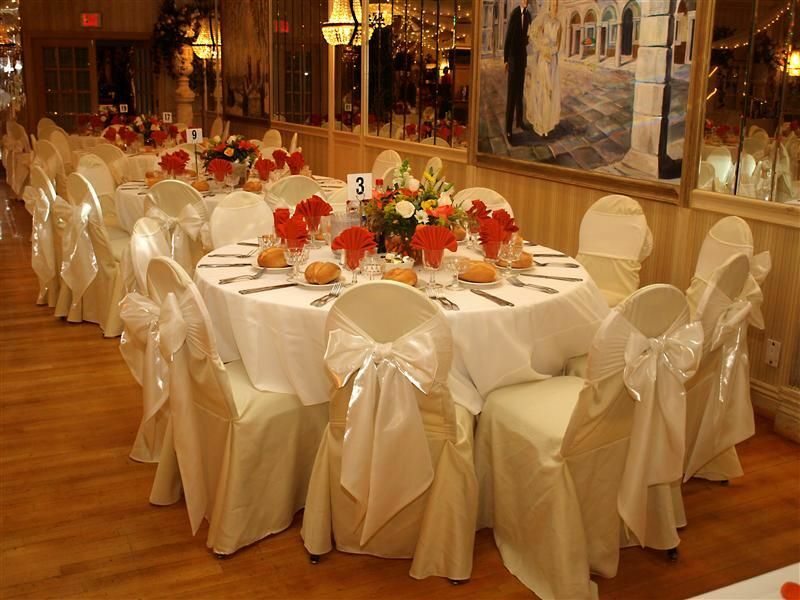 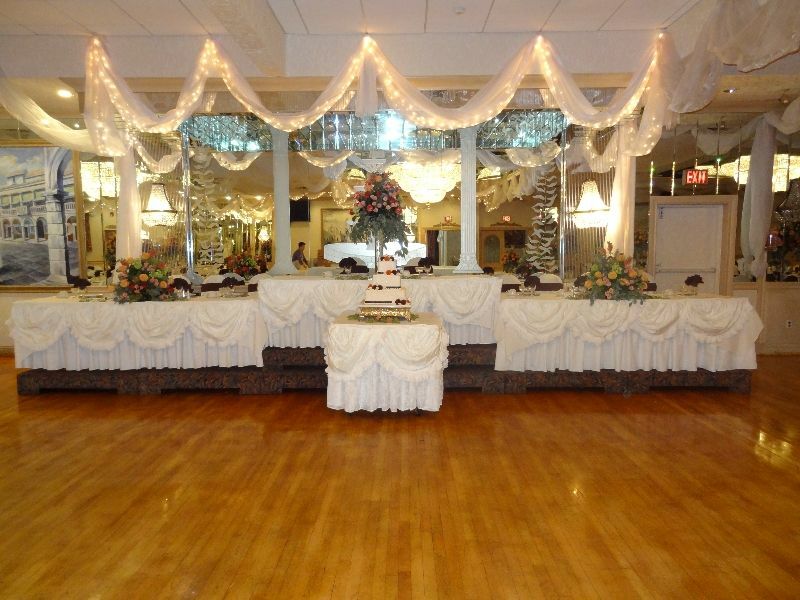 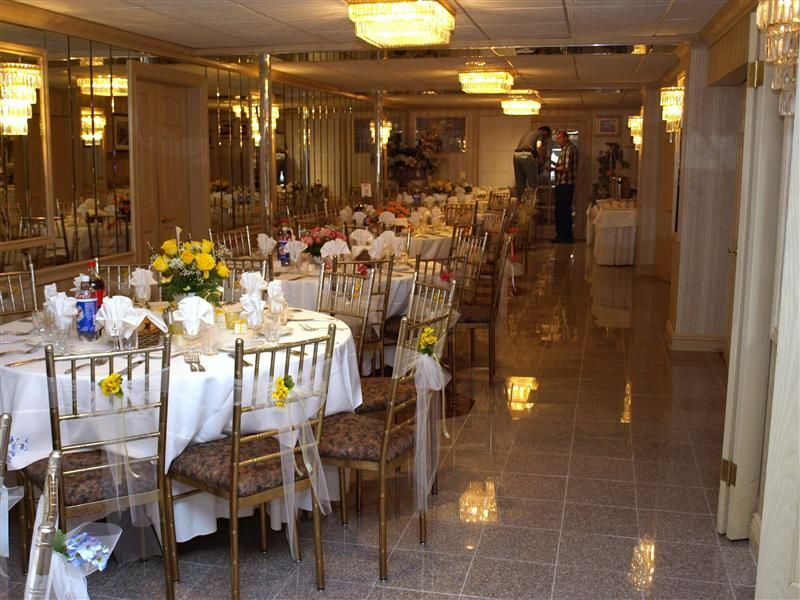 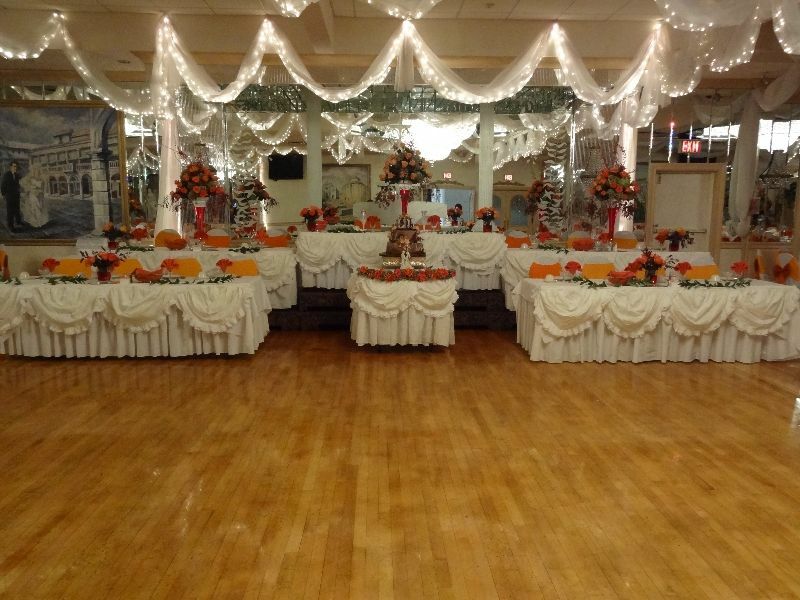 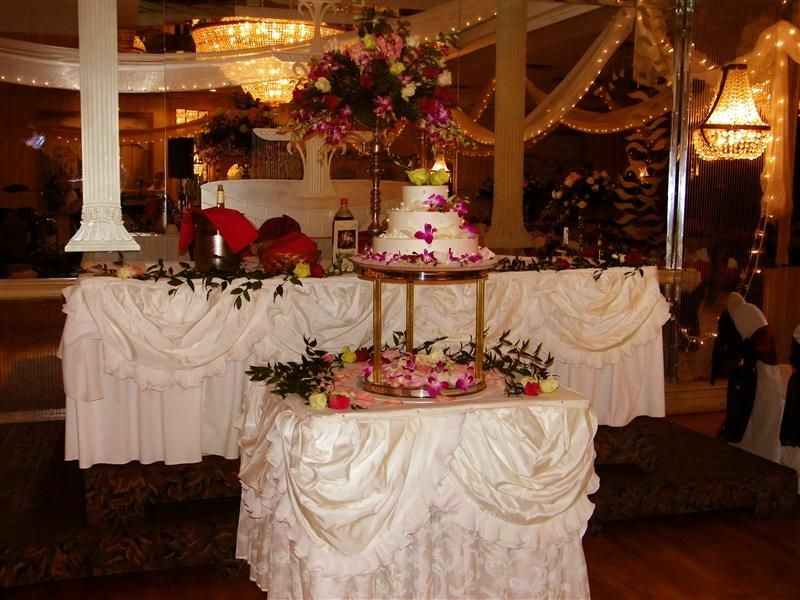 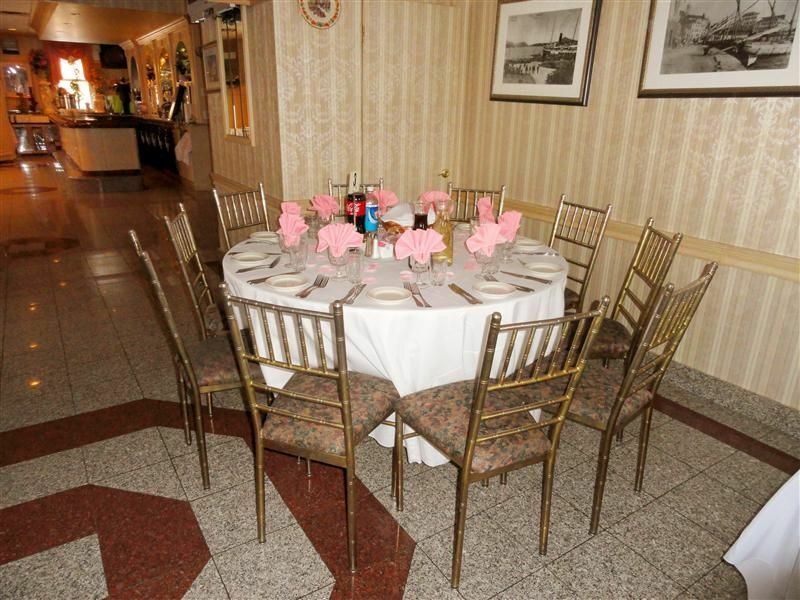 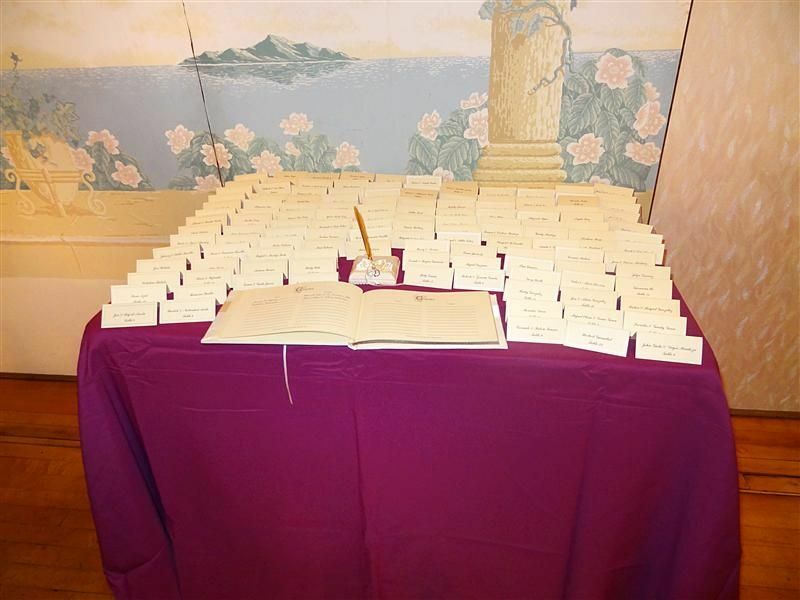 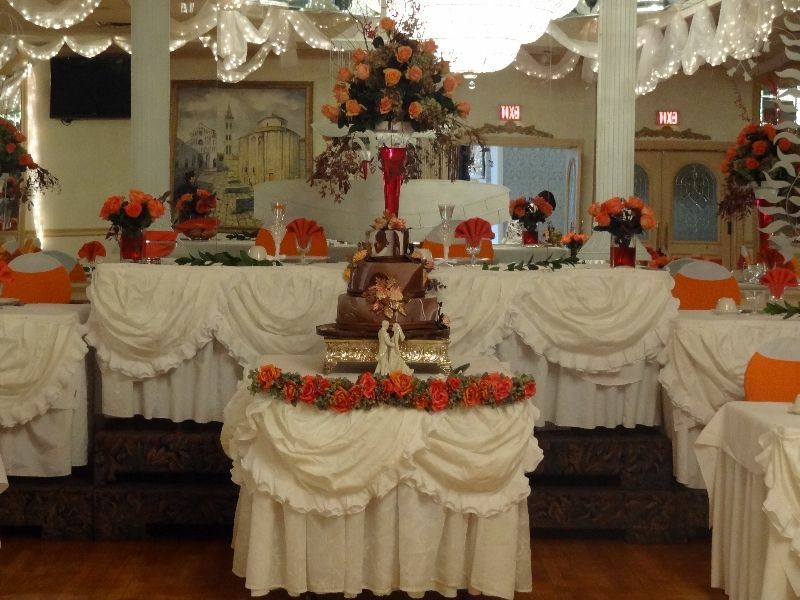 Our banquet rooms are perfect for any event that desires the LaFortuna touch of elegance. 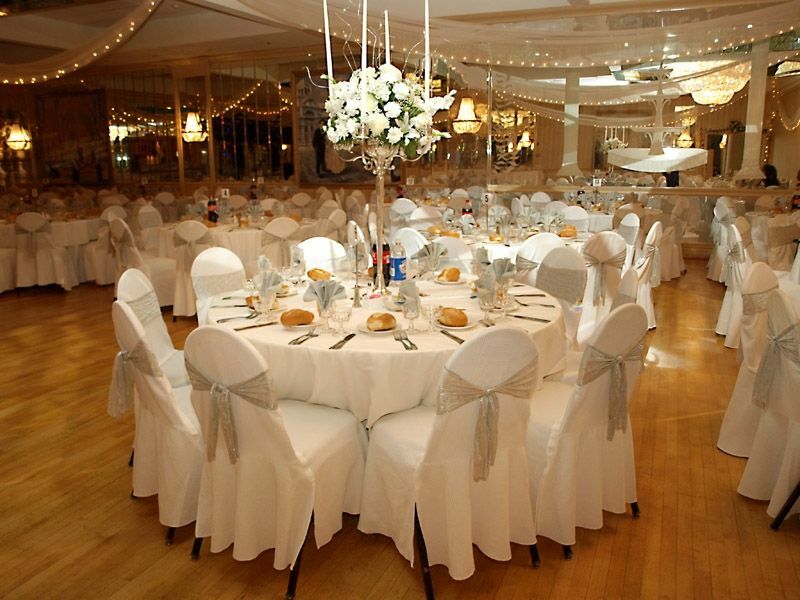 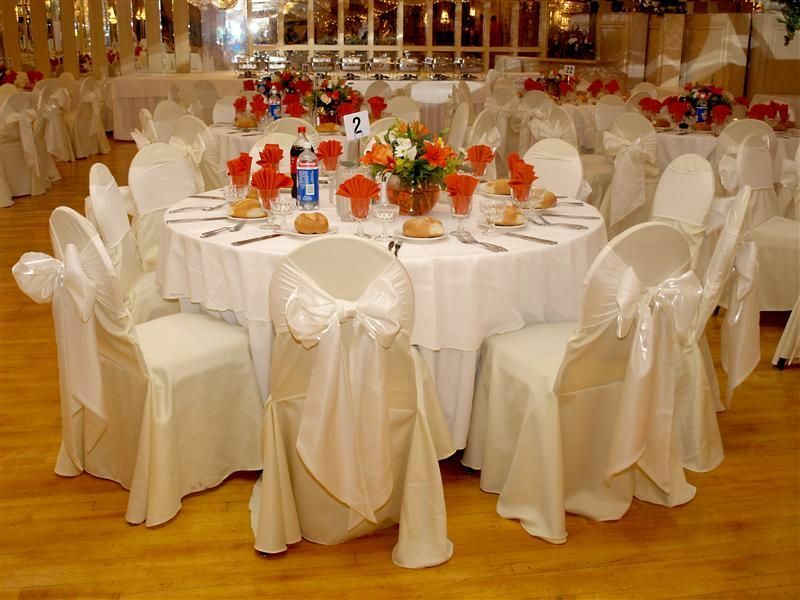 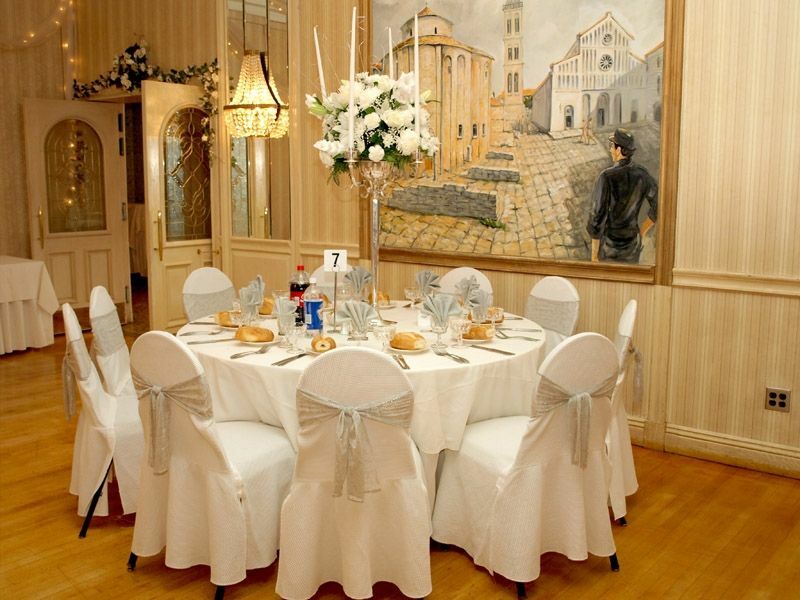 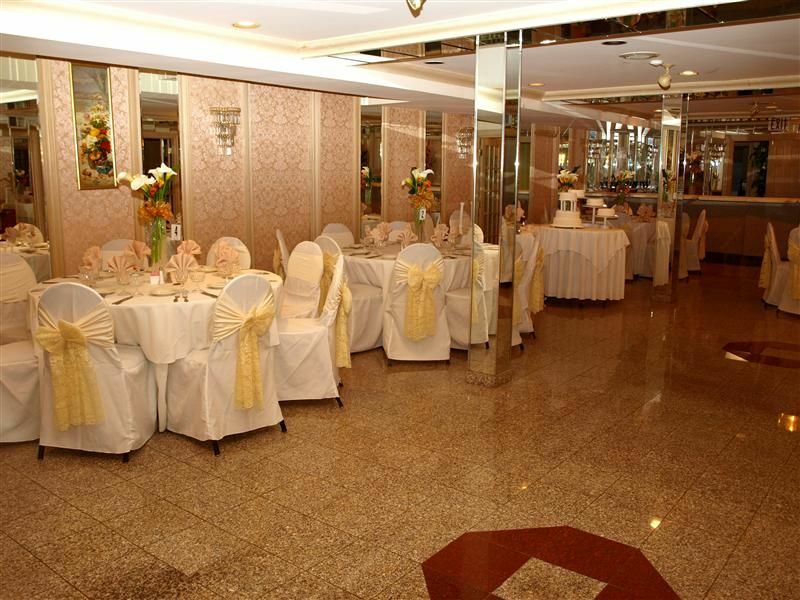 Choose from a large selection of rooms to suit any occasion. 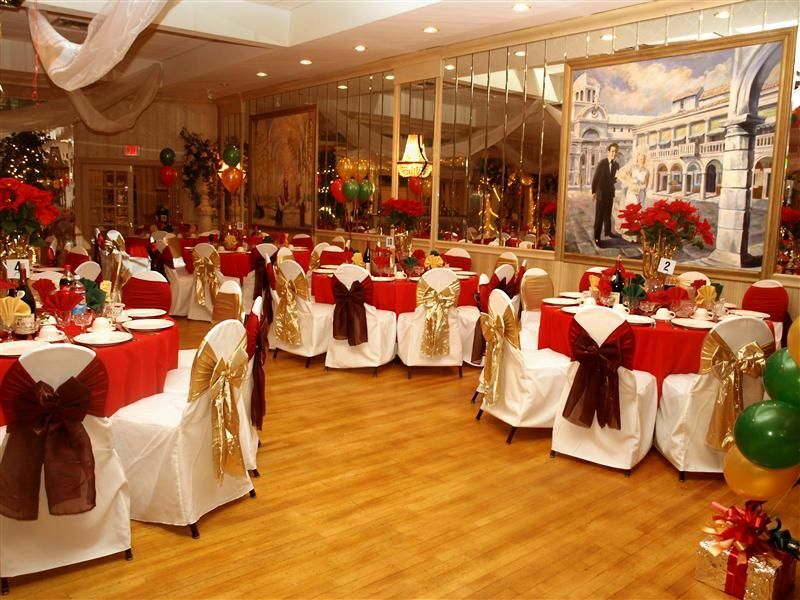 When entering LaFortuna you will be lifted away to a place that has Venetian elegance and old world charm. 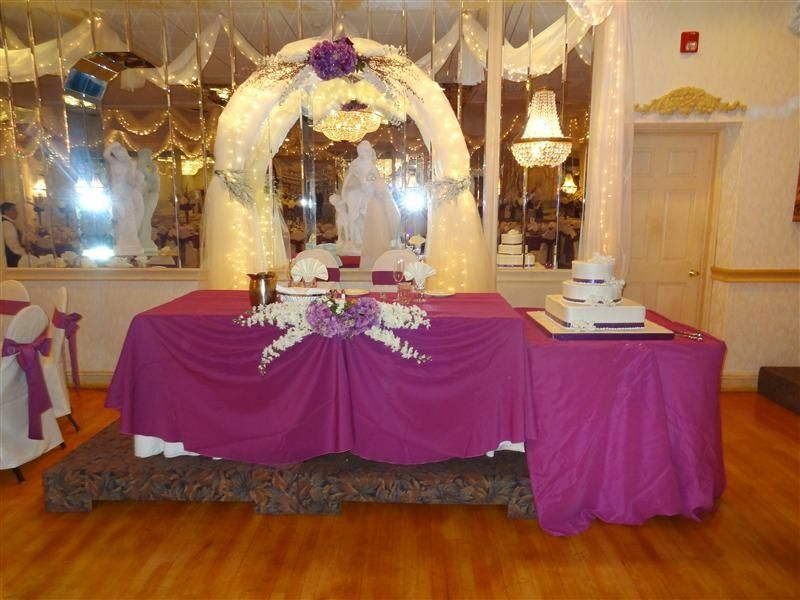 The newly remodeled entrance is our corner stone. 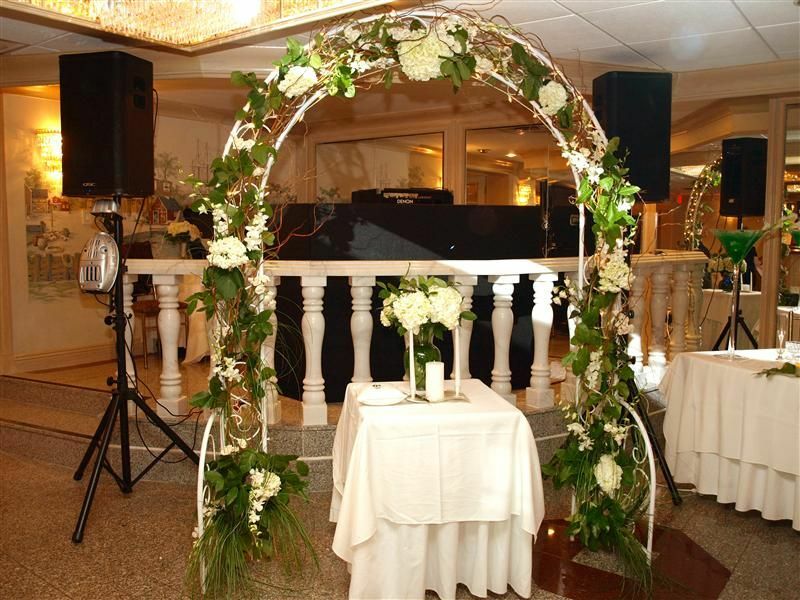 Our entrance is complete with a beautiful tapestry that sets the decor along with our crystal chandelier, which is 14 feet long. 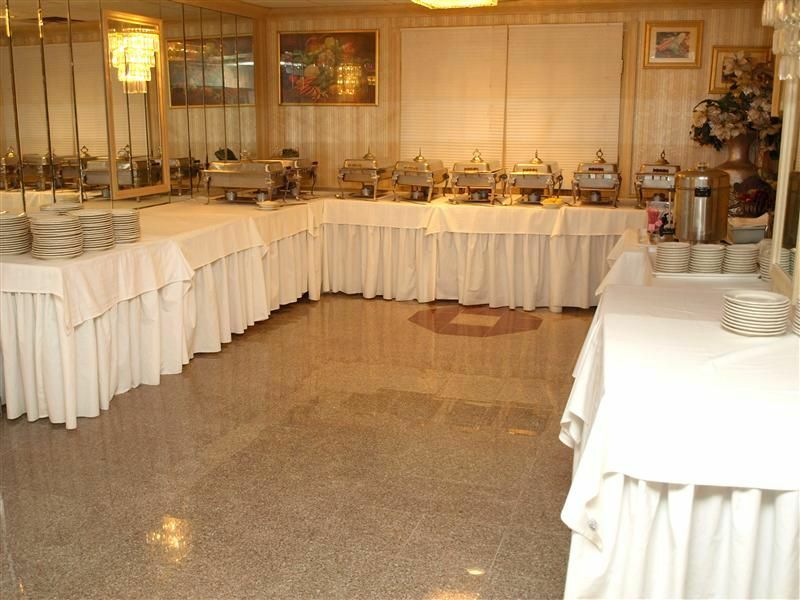 The floors in the entrance are marble covered with Chinese rugs. 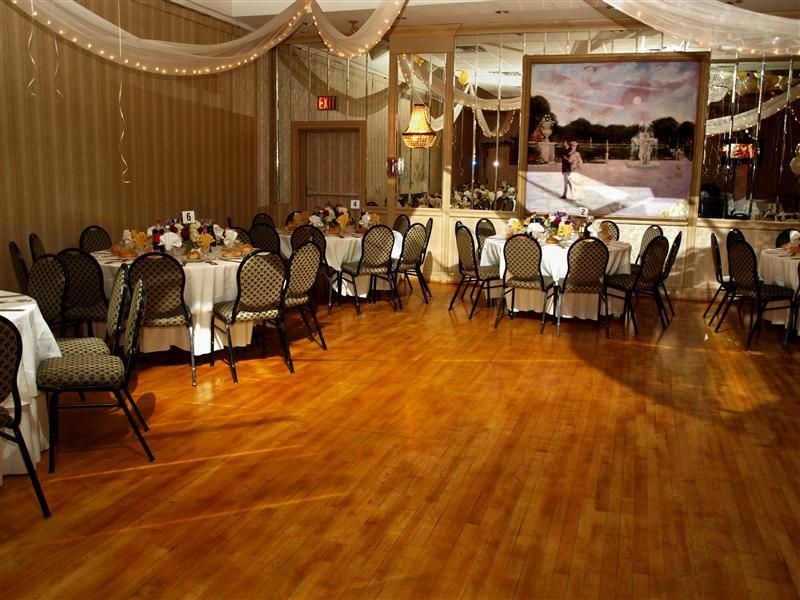 We have very high ceiling with a serene sky painted above. 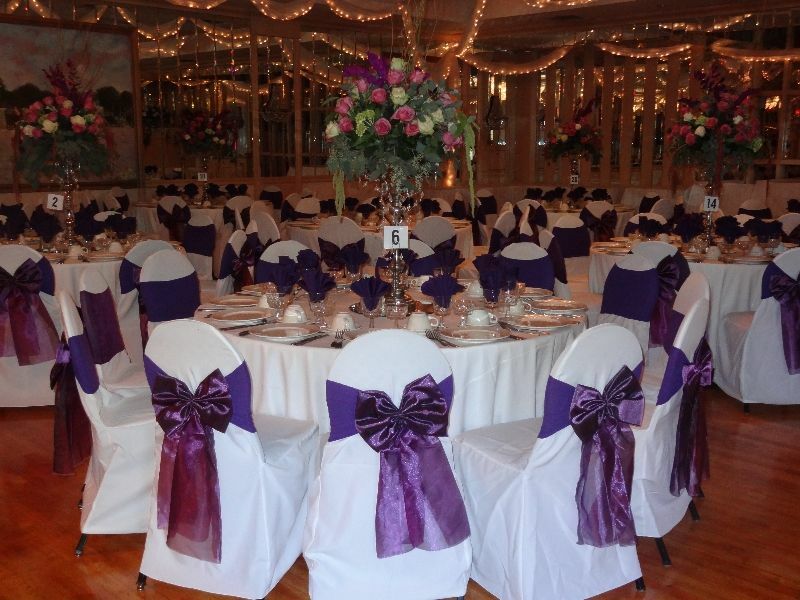 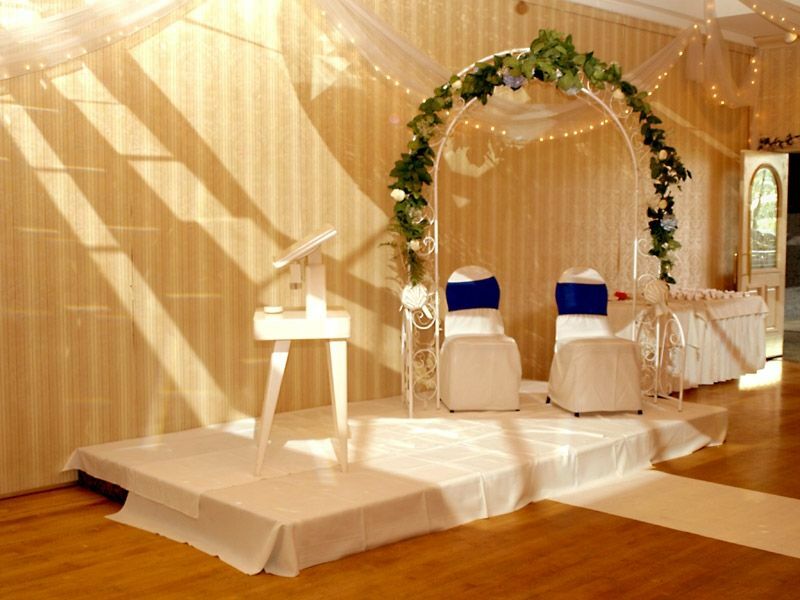 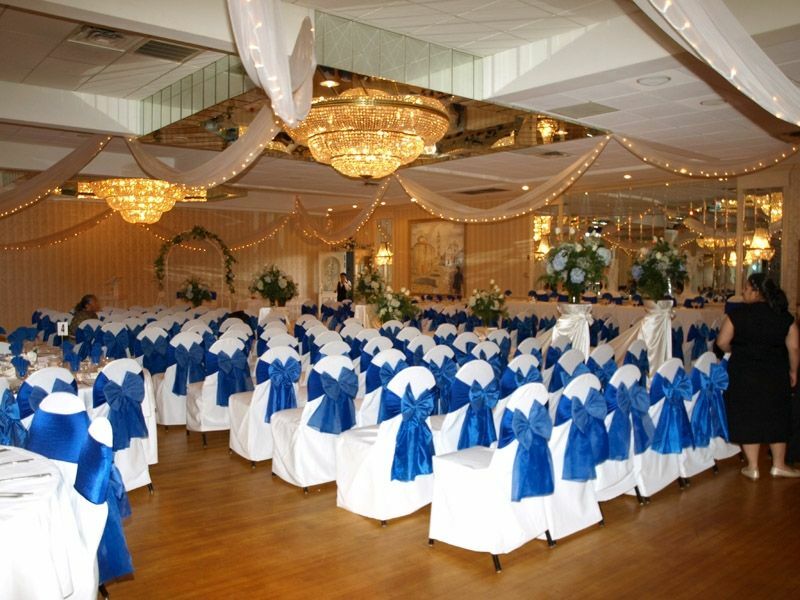 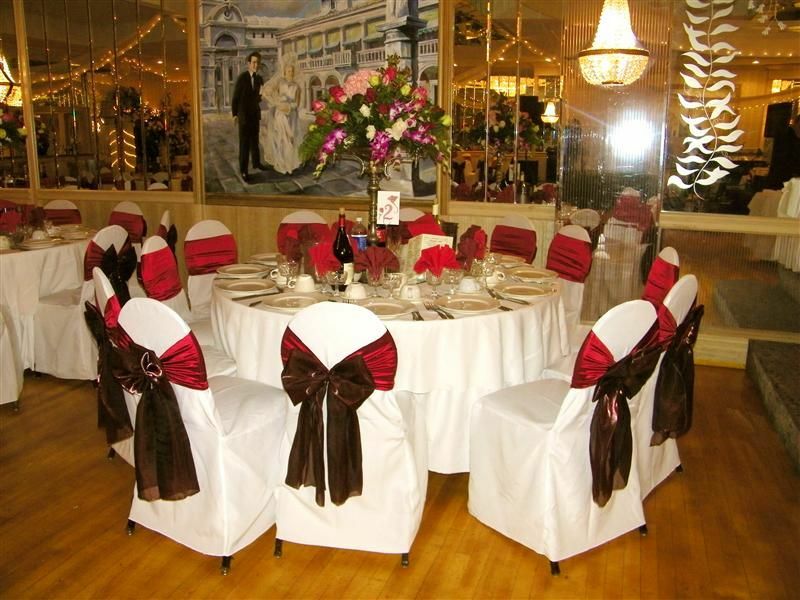 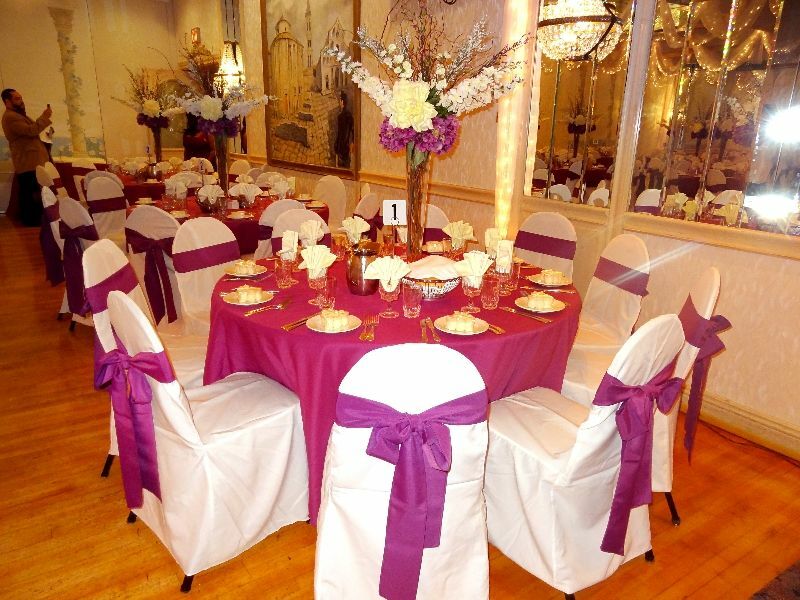 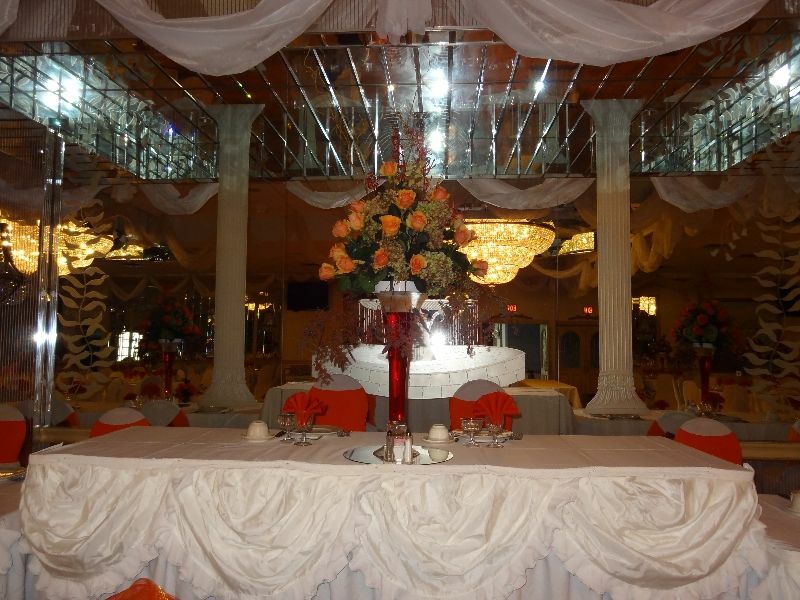 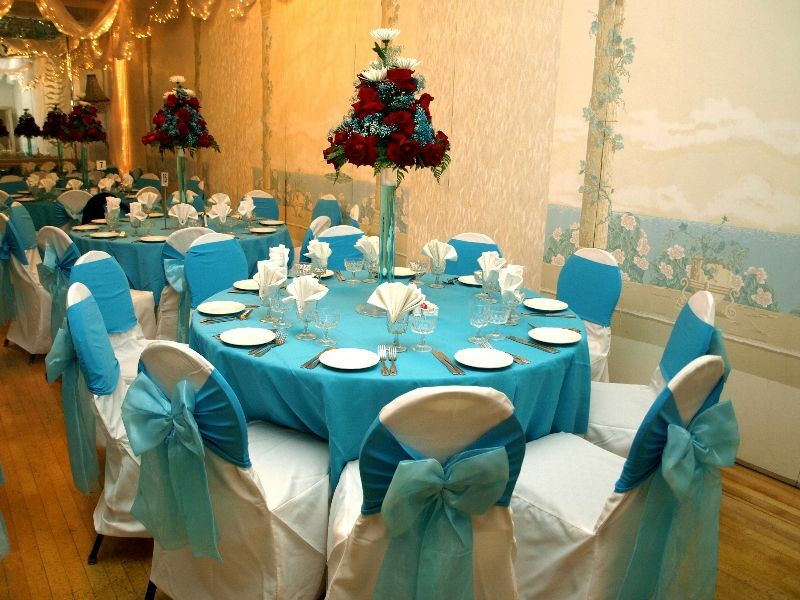 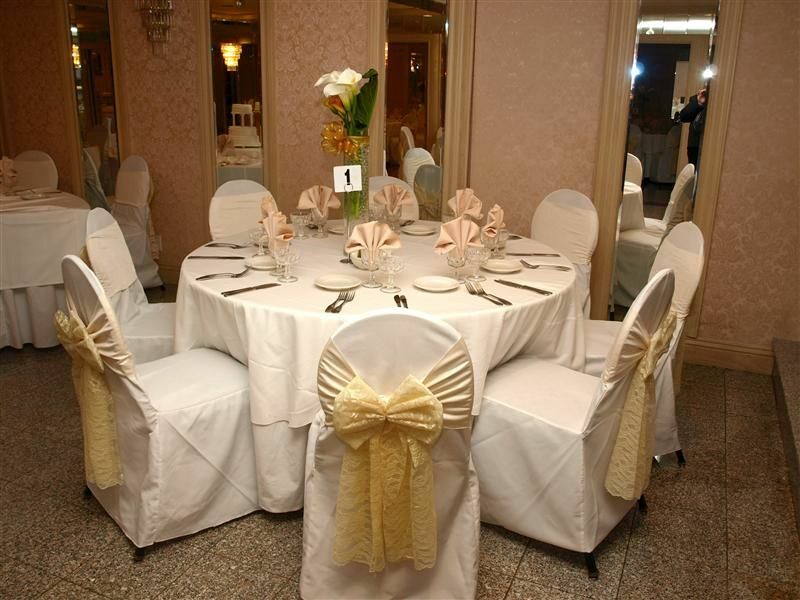 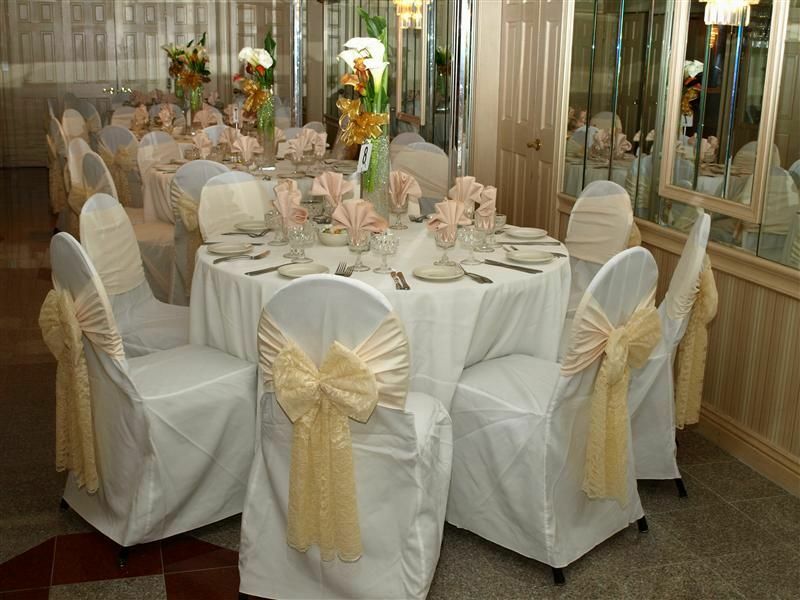 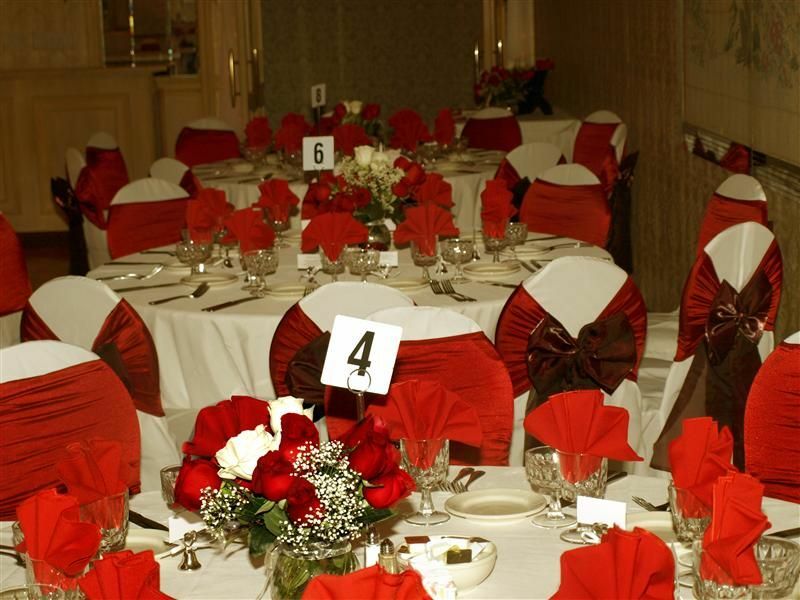 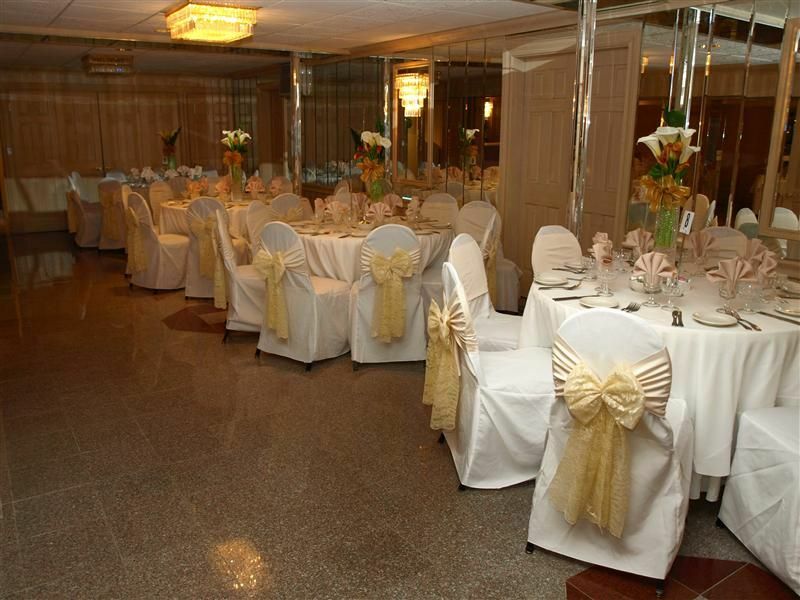 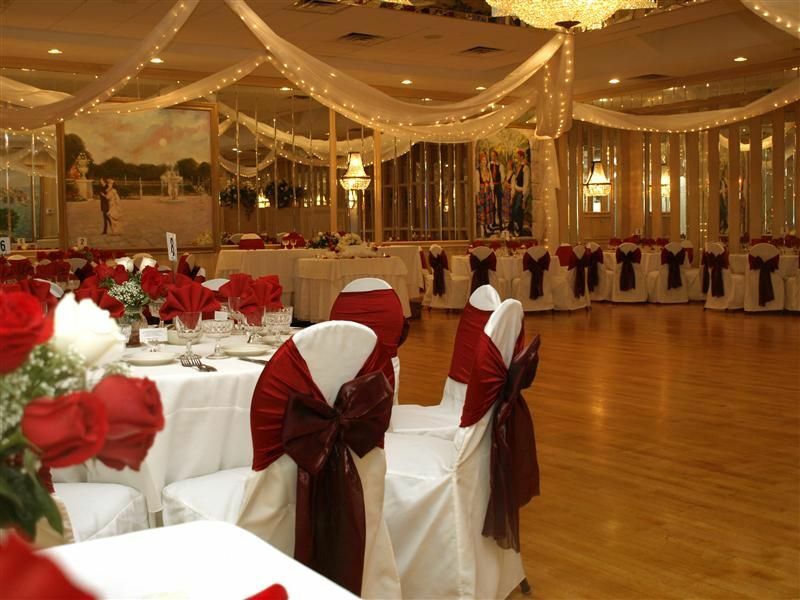 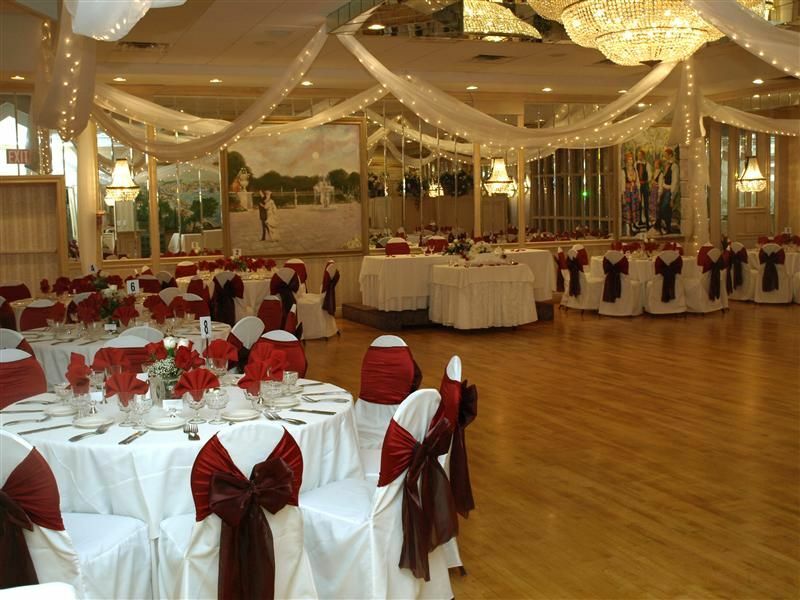 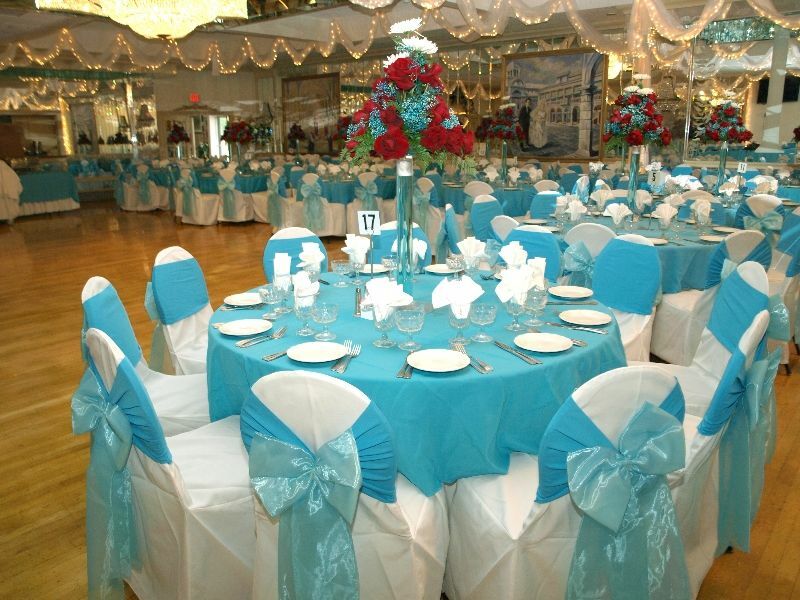 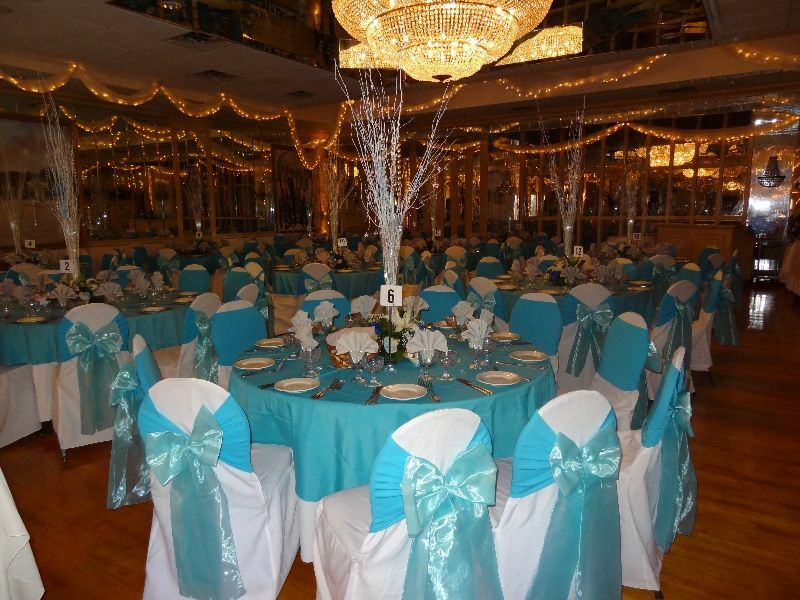 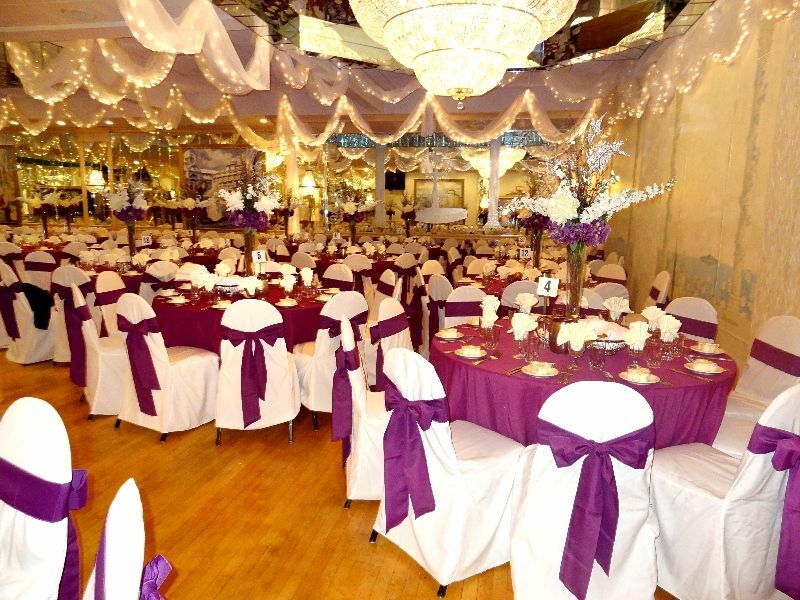 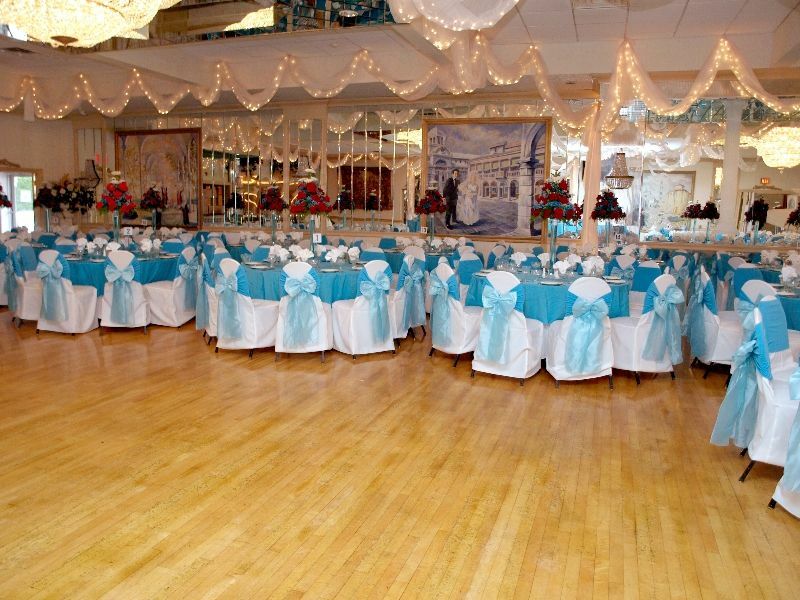 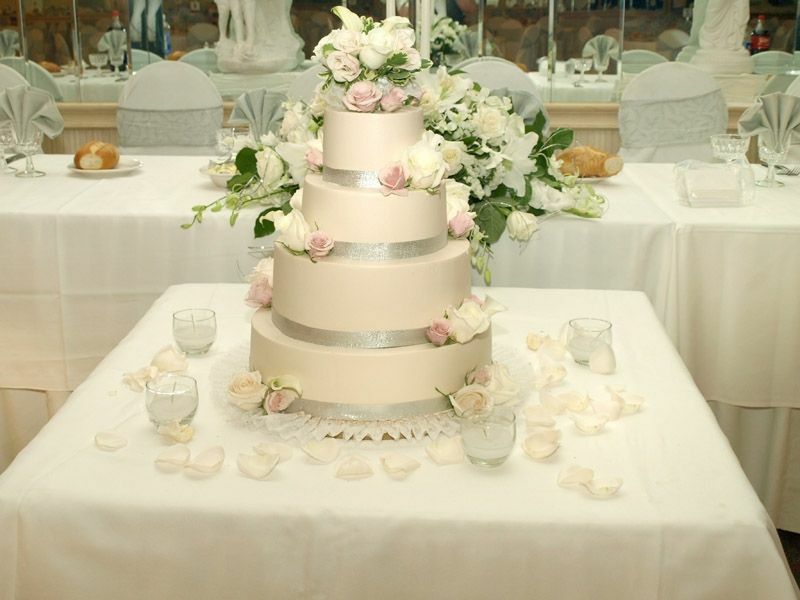 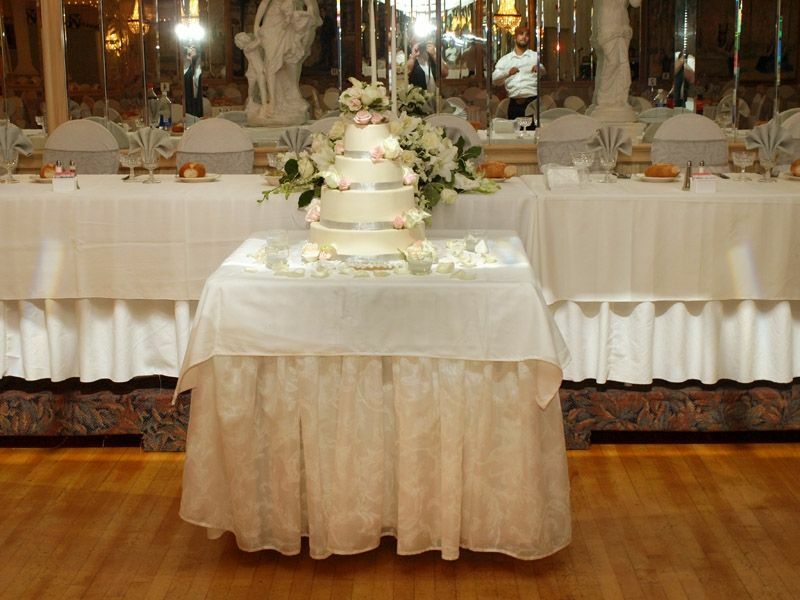 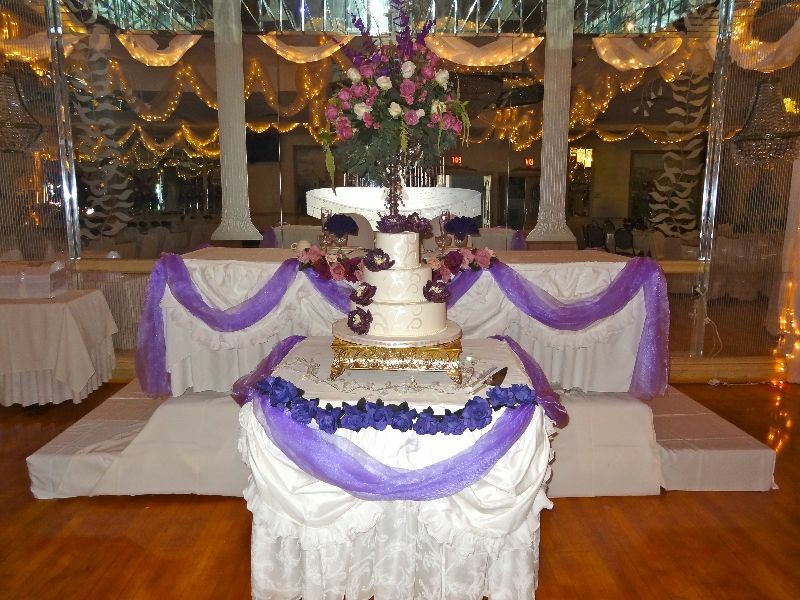 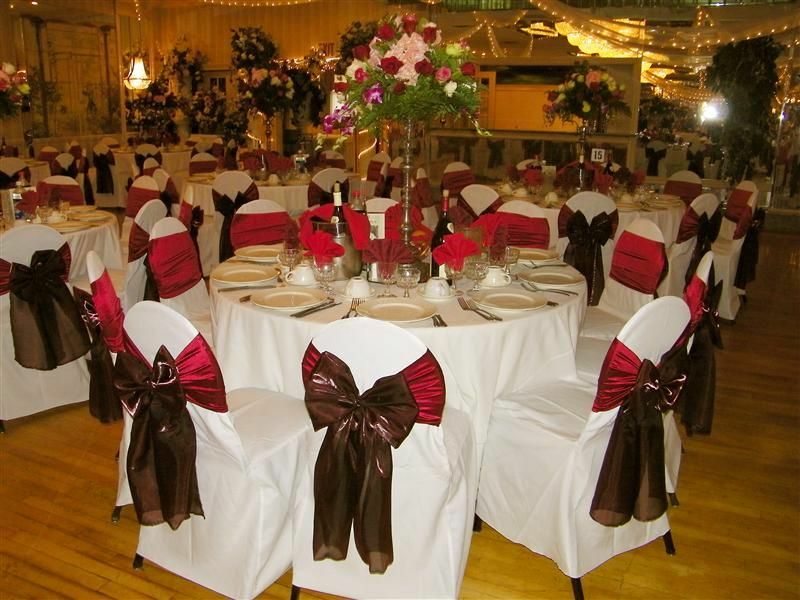 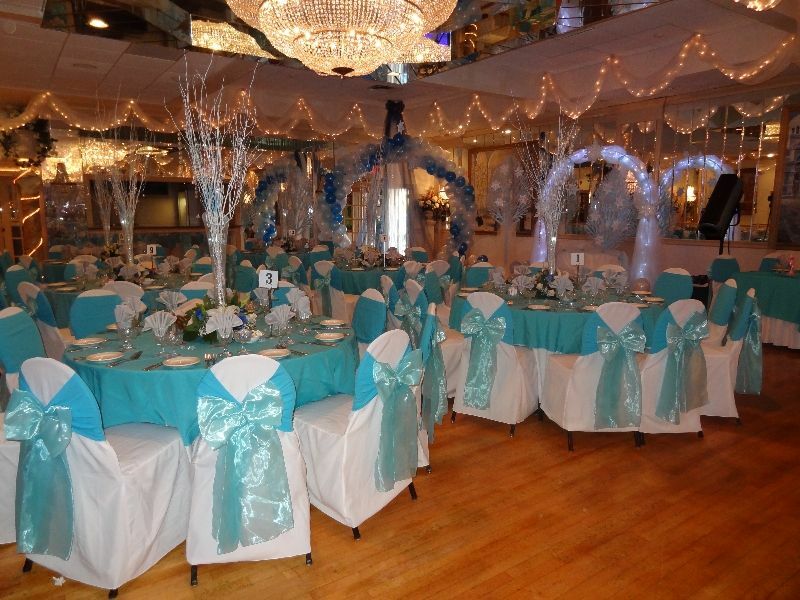 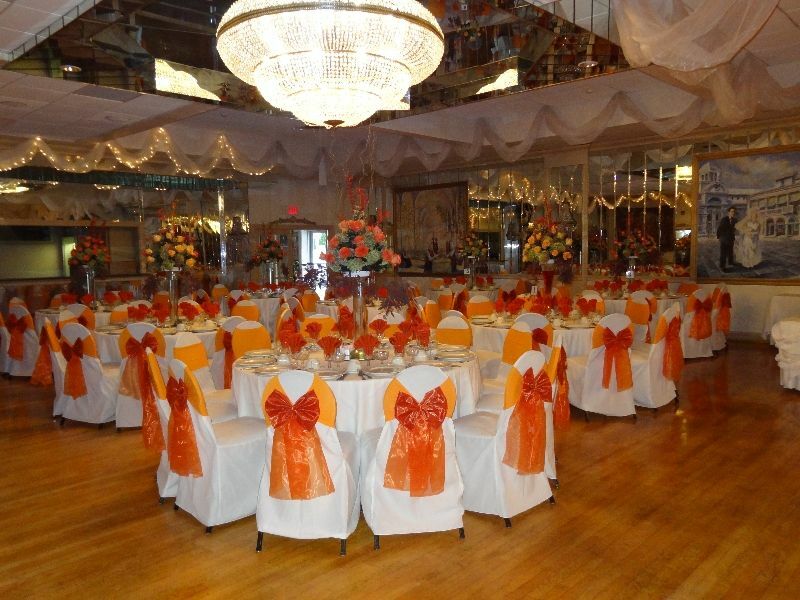 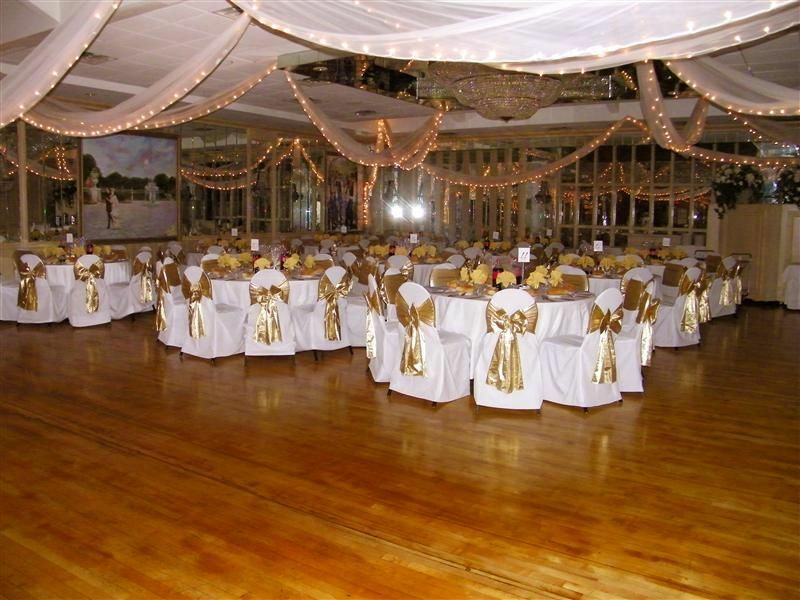 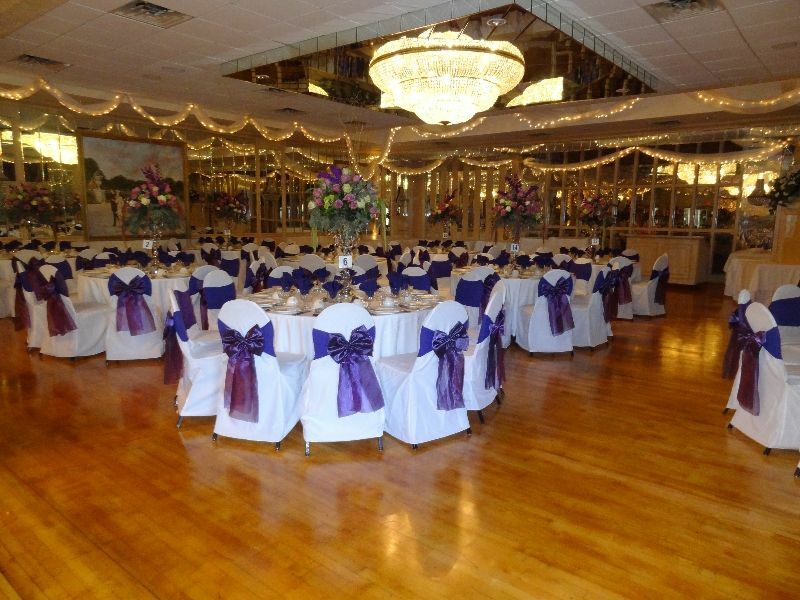 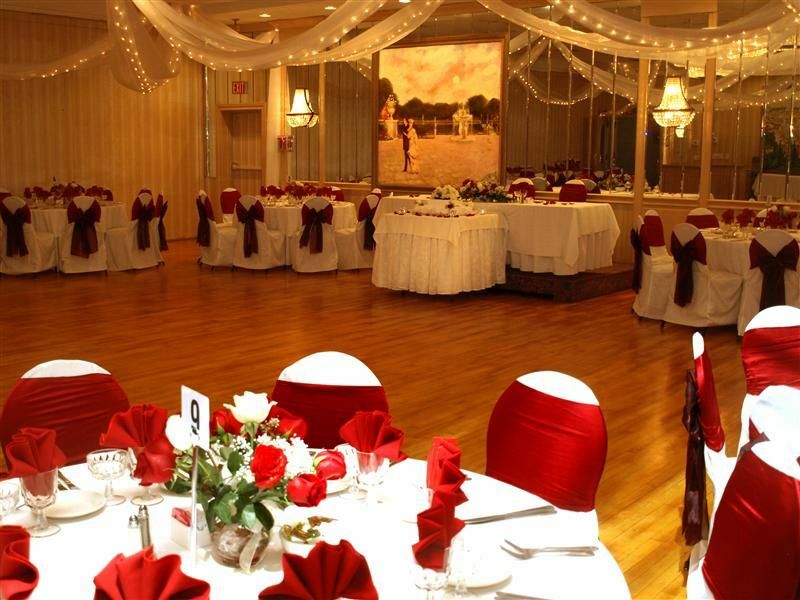 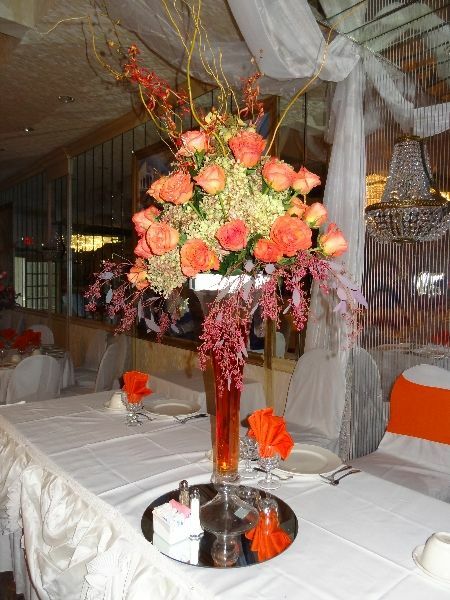 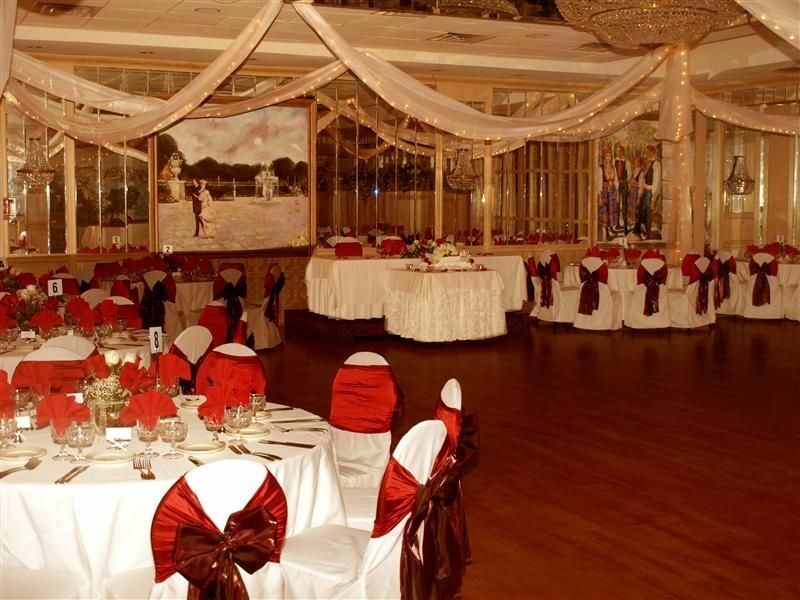 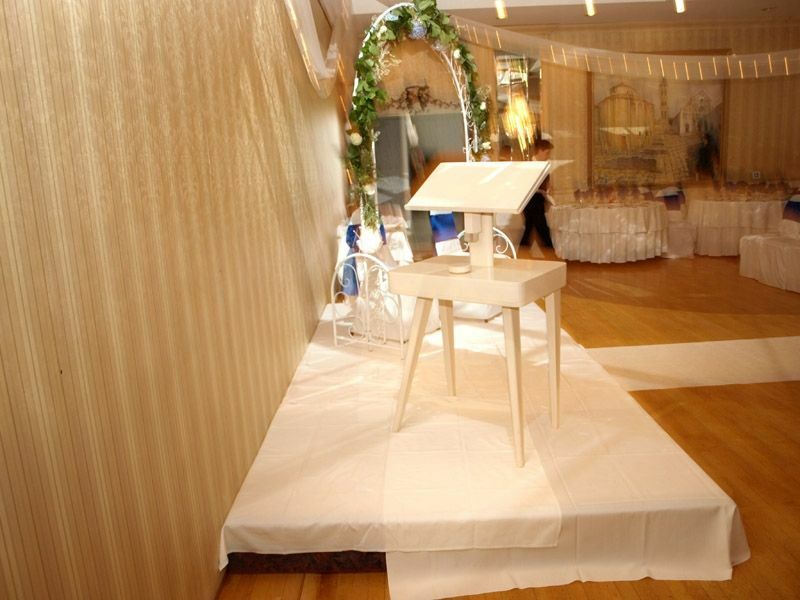 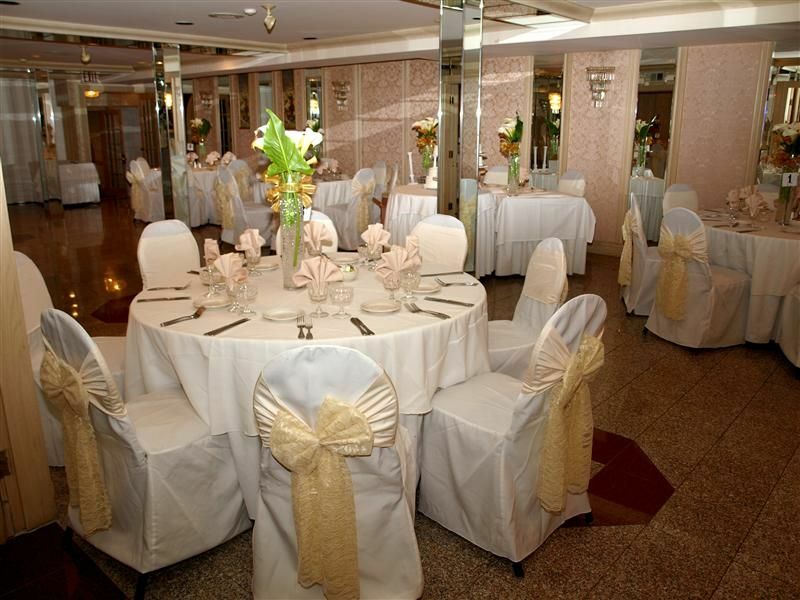 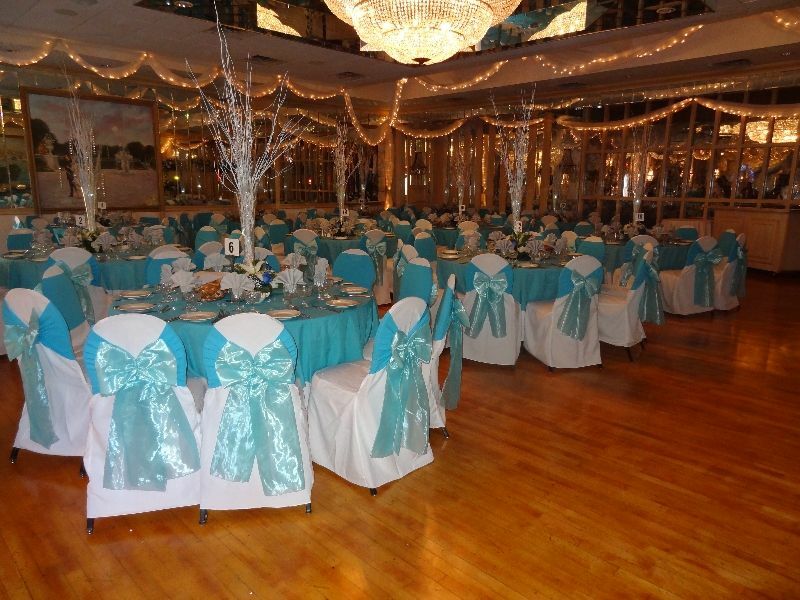 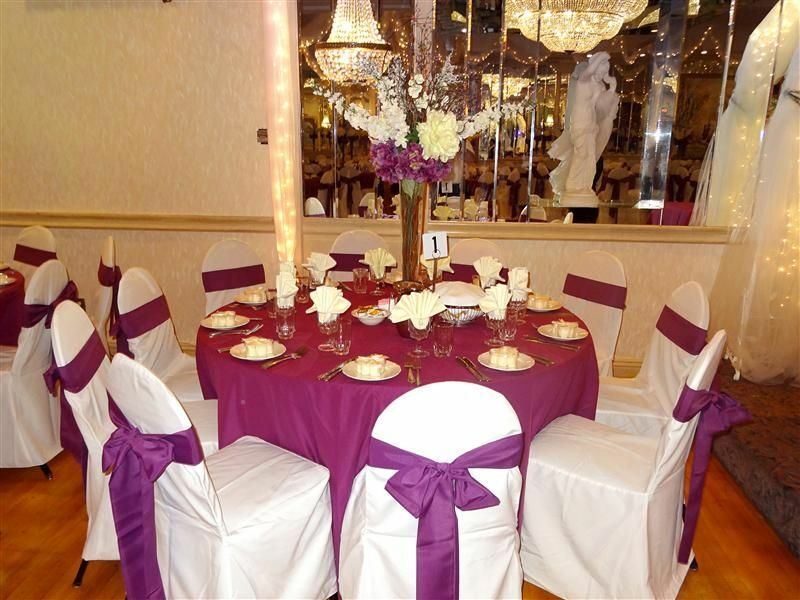 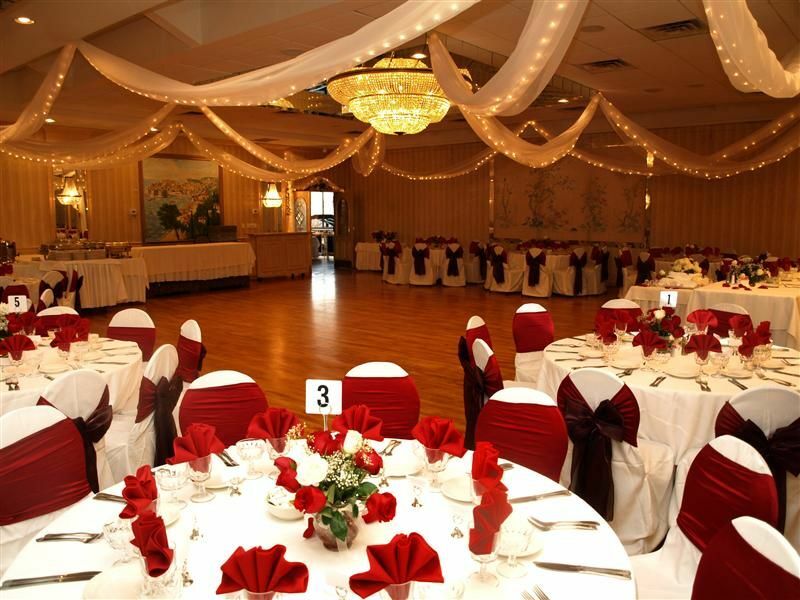 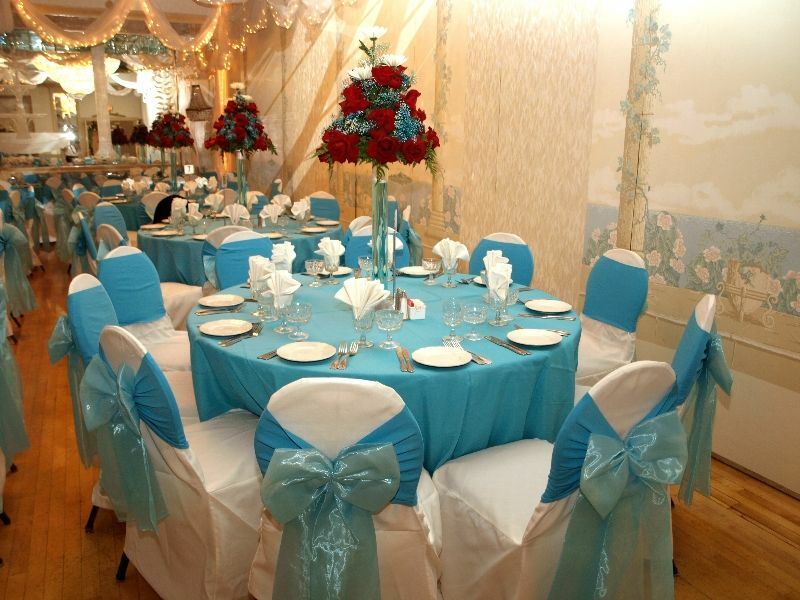 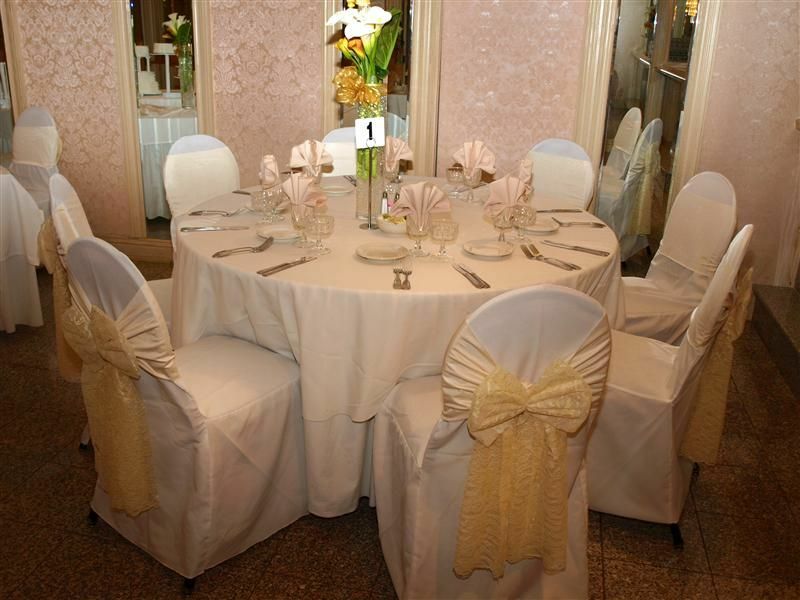 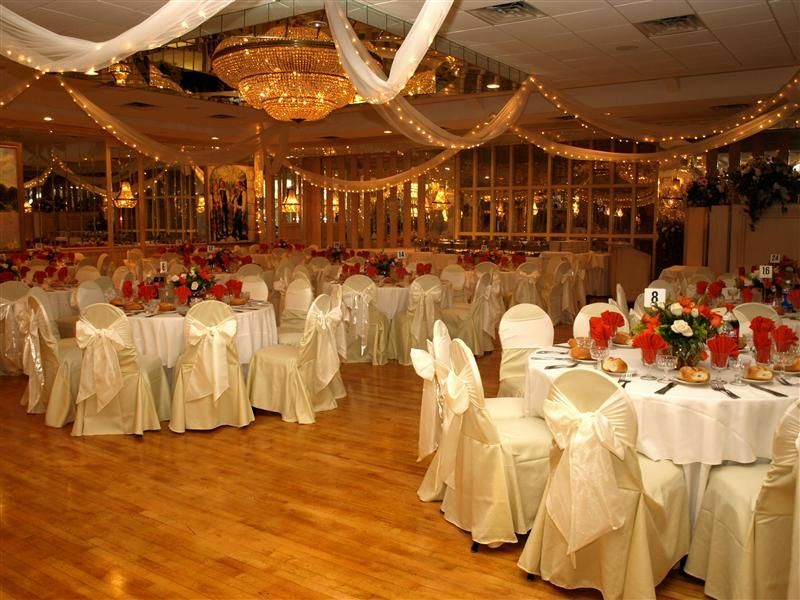 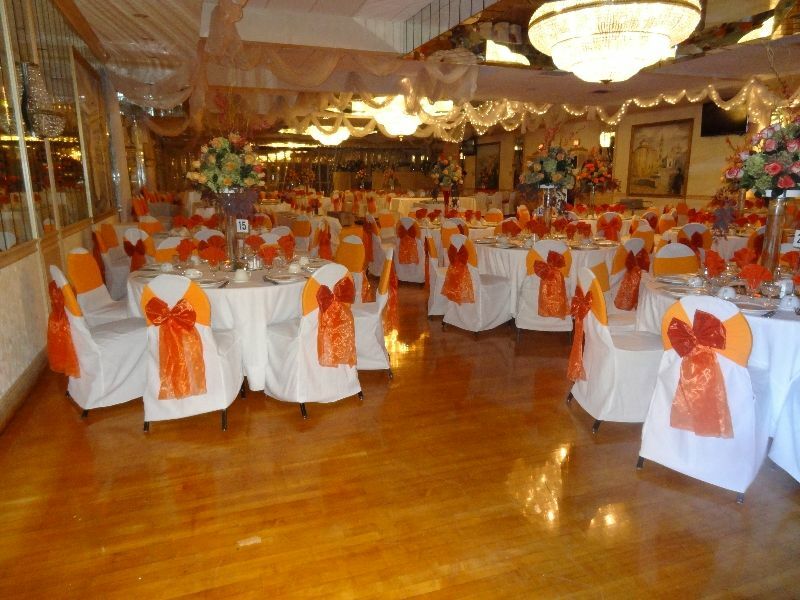 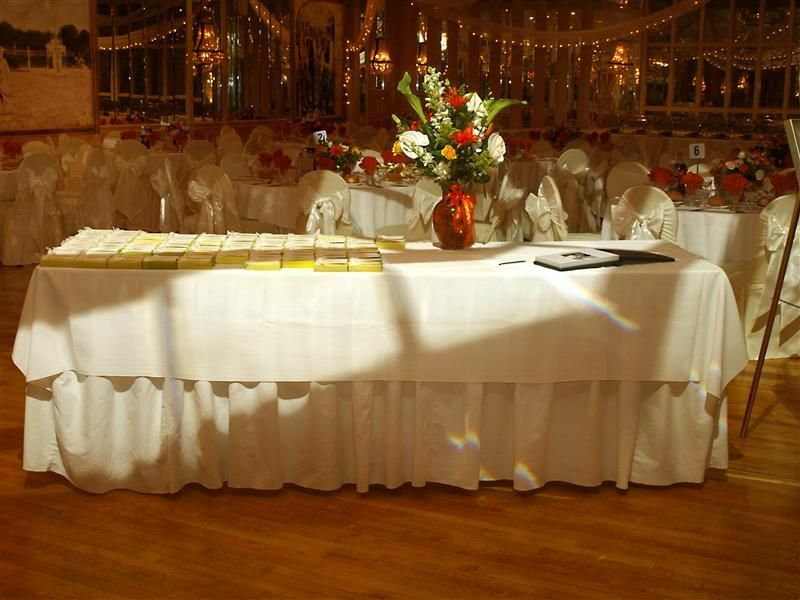 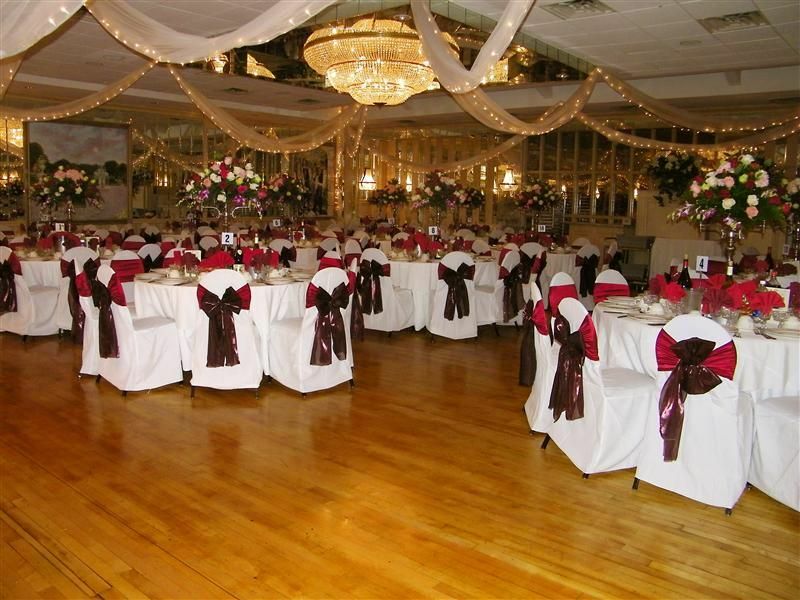 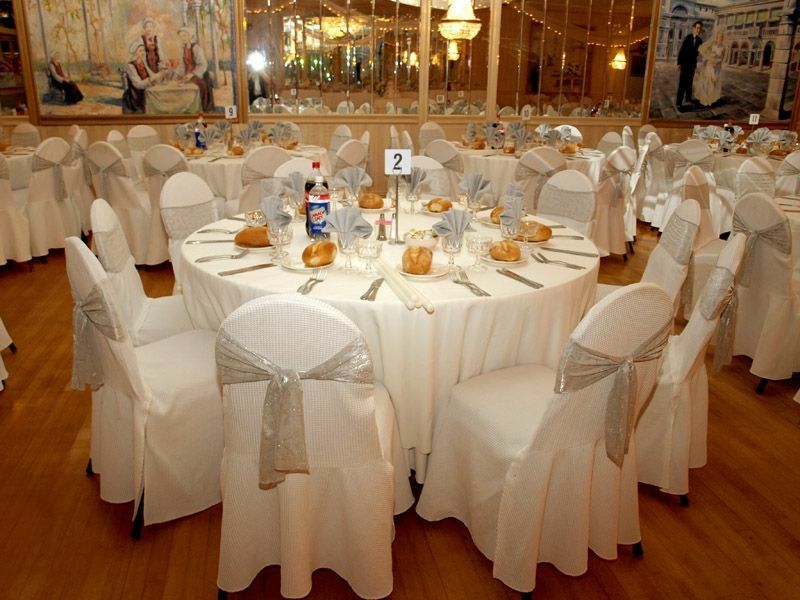 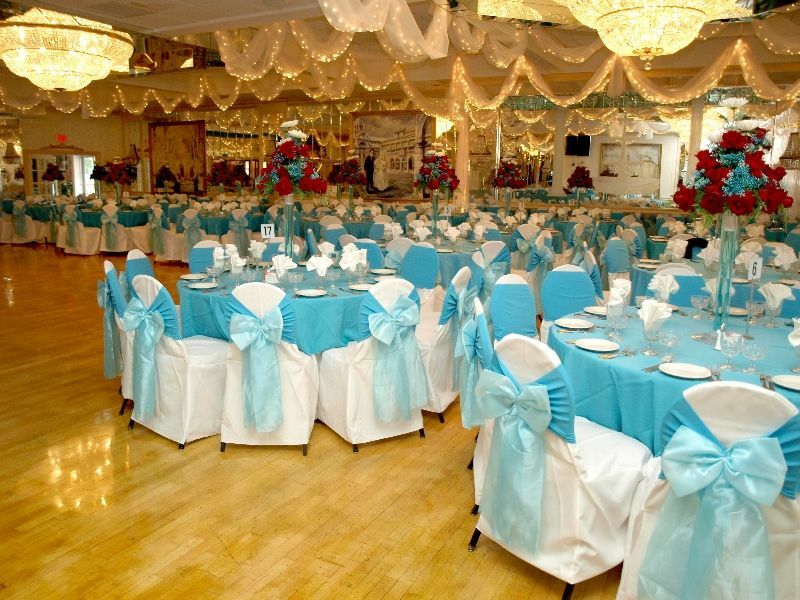 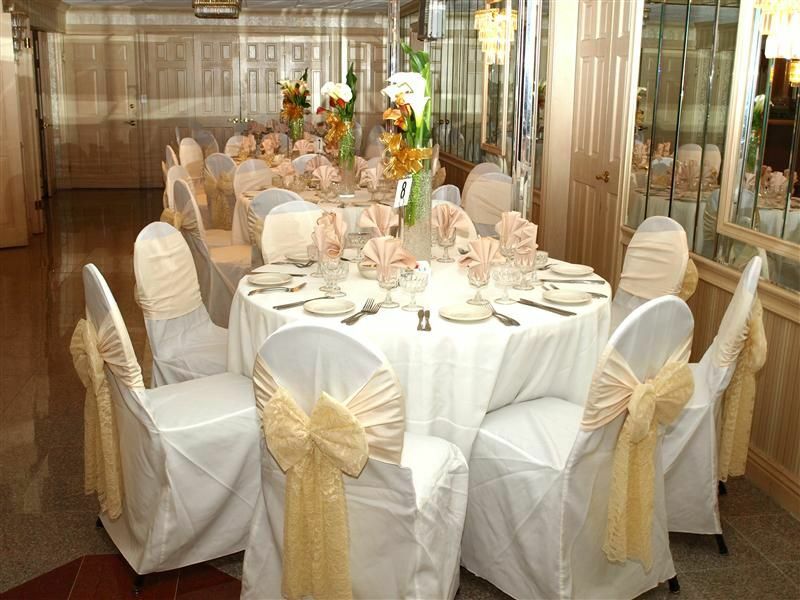 Our ballroom is adorned in elegance that is decorated to match your dreams. 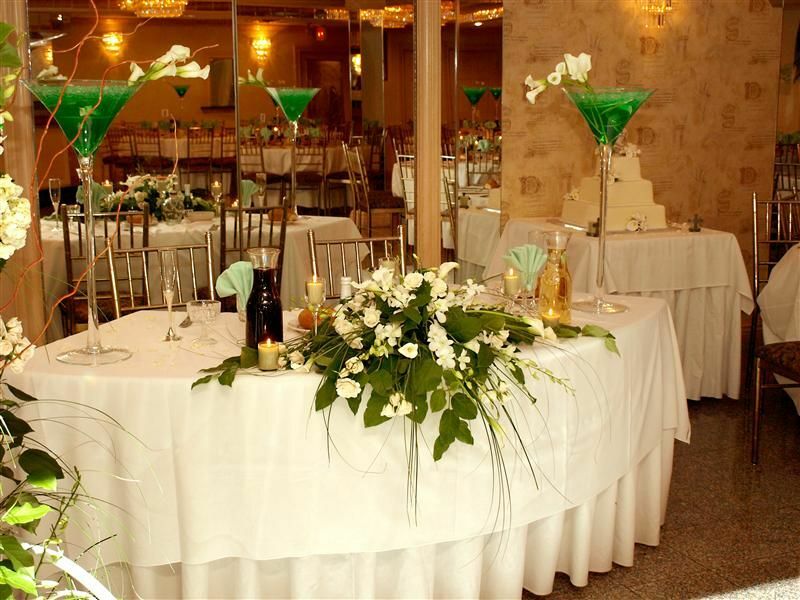 The high ceilings, a crystal chandelier, custom floral arrangements, and candelabras evoke an old world charm that surrounds your guests in grandeur. 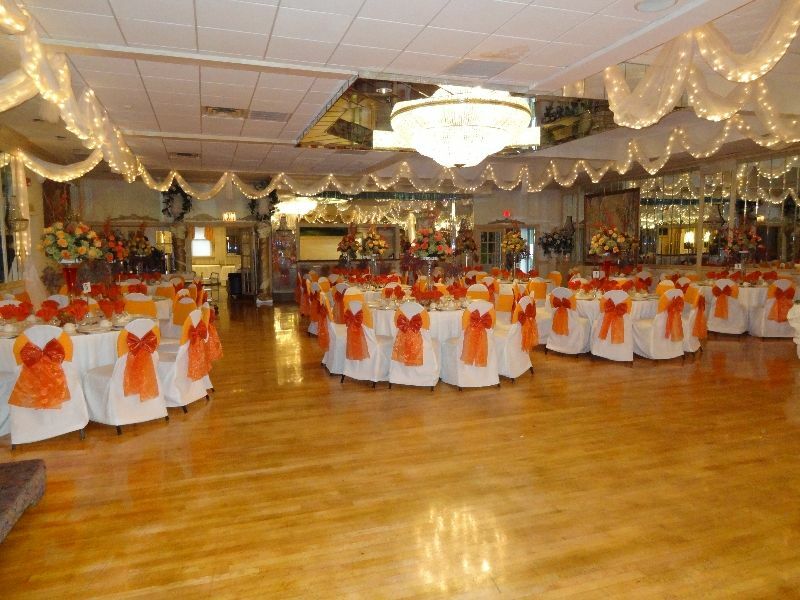 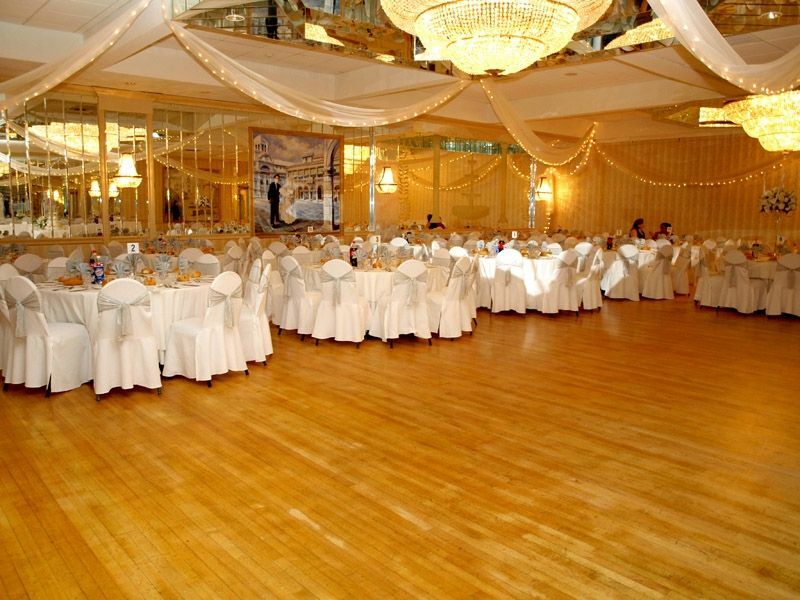 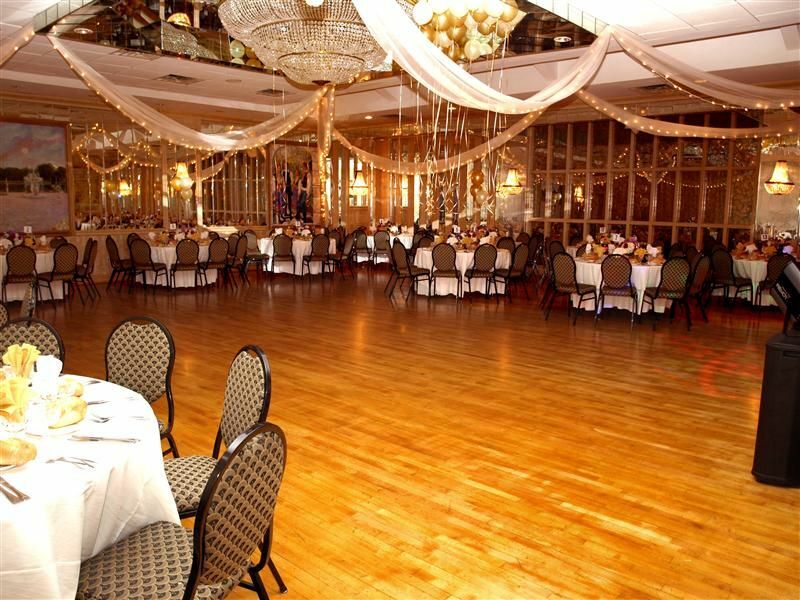 Complete with a spacious dance floor, this room accommodates up to 450 guests. 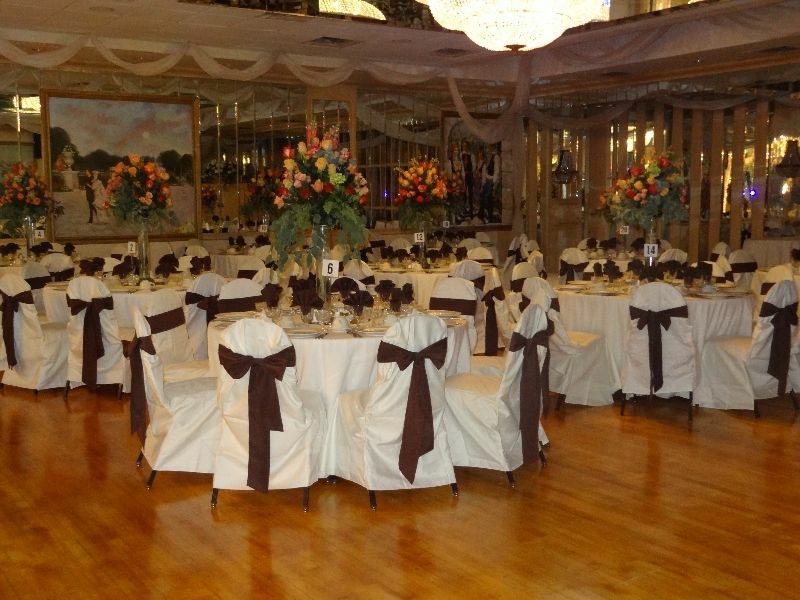 The Grand Ball Room splits into two exquisite wedding rooms that have high ceilings, a crystal chandelier, custom floral arrangements, and candelabras to evoke an old world charm that surrounds your guests in grandeur. 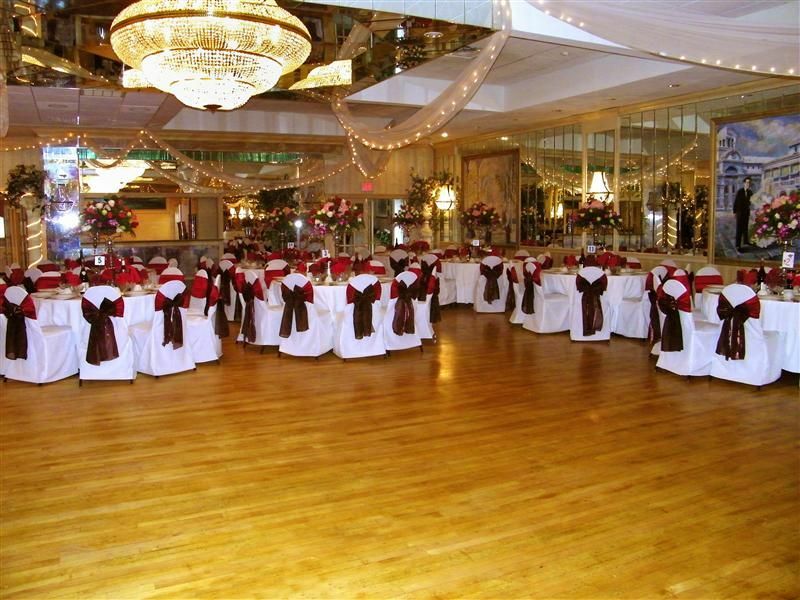 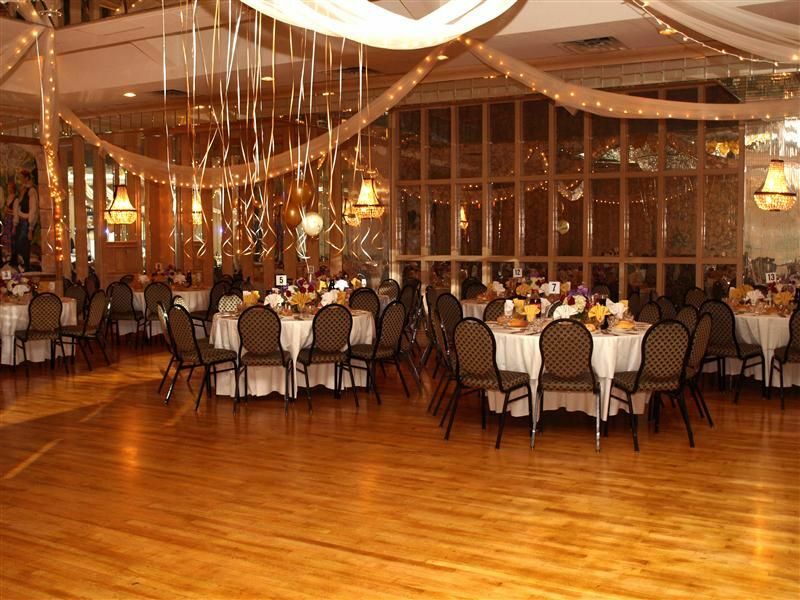 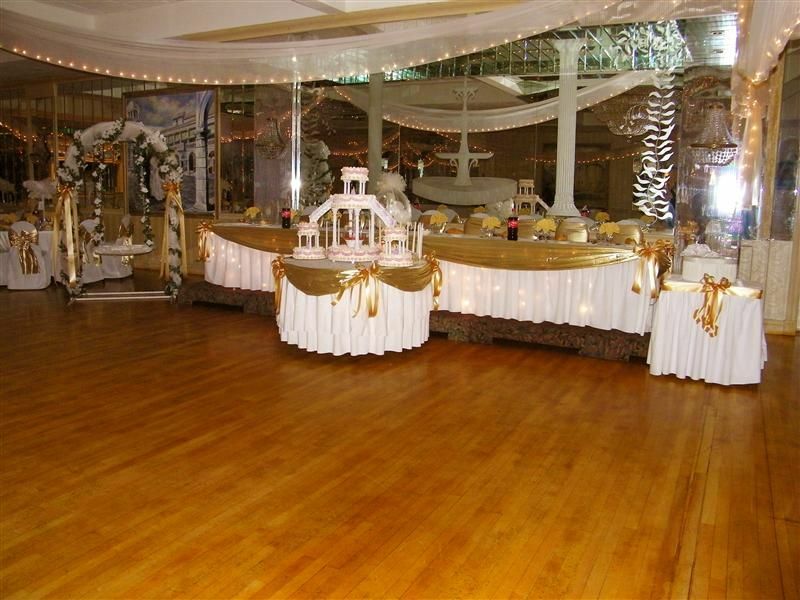 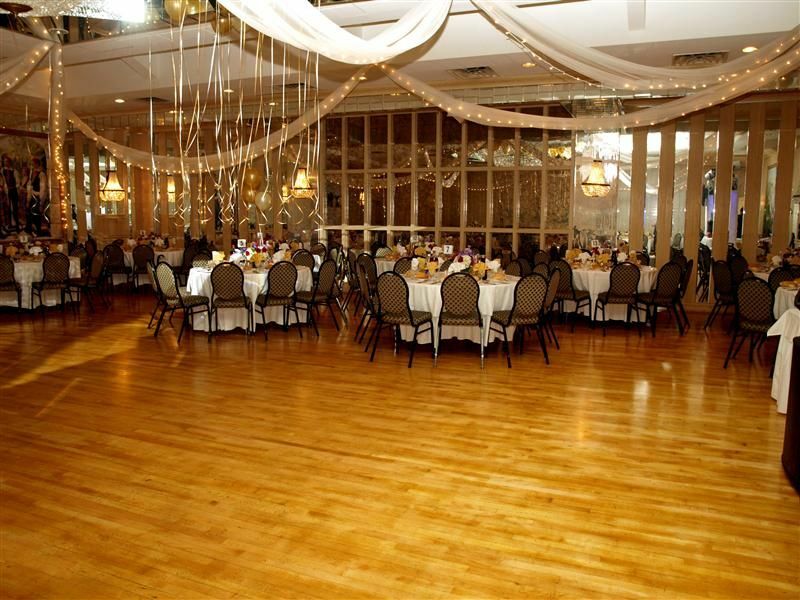 Complete with a spacious dance floor, this room accommodates up to 240 guests. 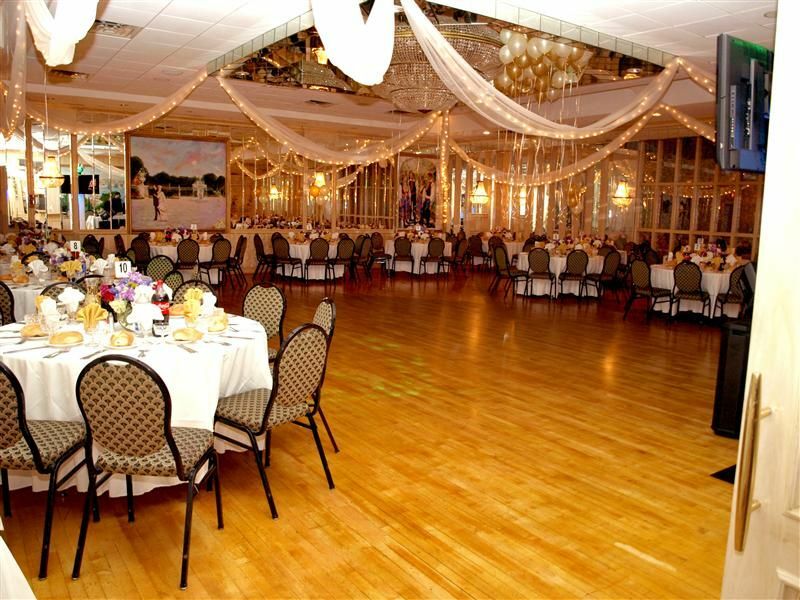 The Grand Ball Room splits into two exquisite wedding rooms that have high ceilings, a crystal chandelier, custom florals arrangements, and candelabras to evoke old world charm that surrounds your guests in grandeur. 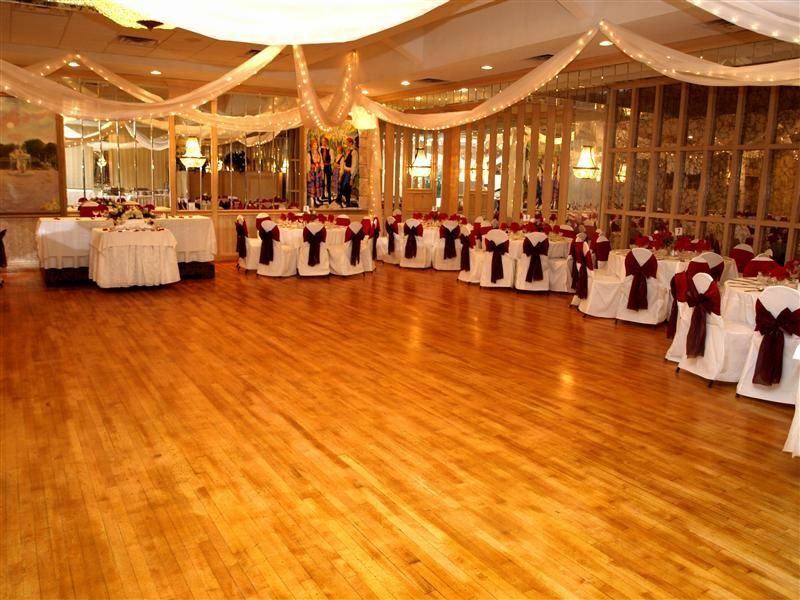 Complete with a spacious dance floor, this room accommodates up to 180 guests. 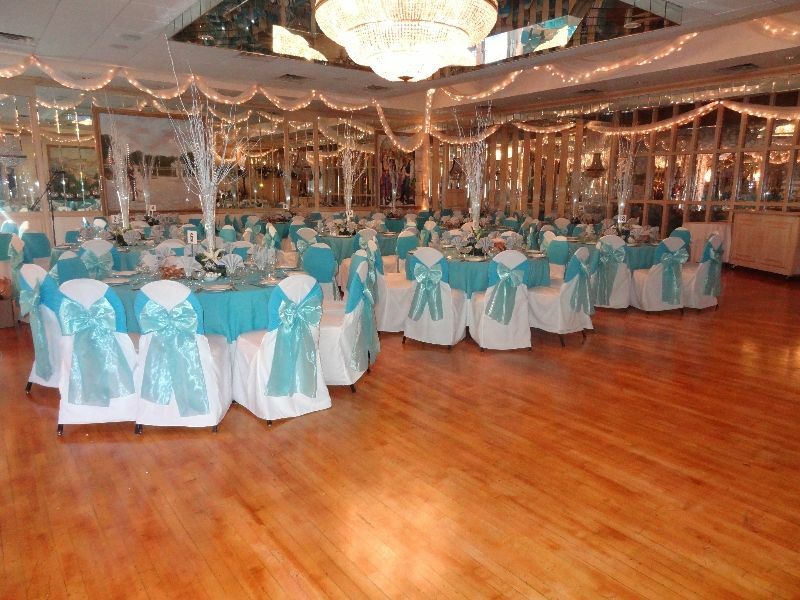 Soft hues of the Mediterranean fill the room with warmth and subtle elegance. 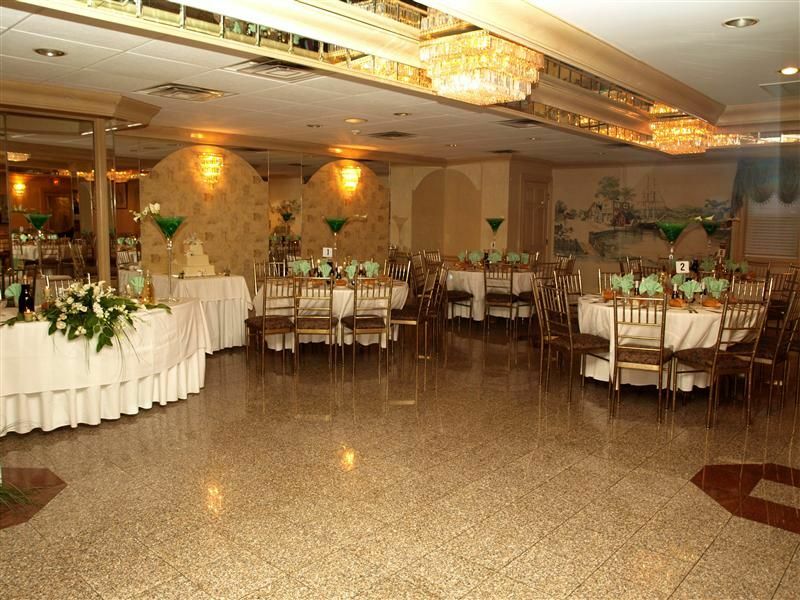 The grand moon-shaped oak bar and marble floors create a stylish setting that will make your special event unique. 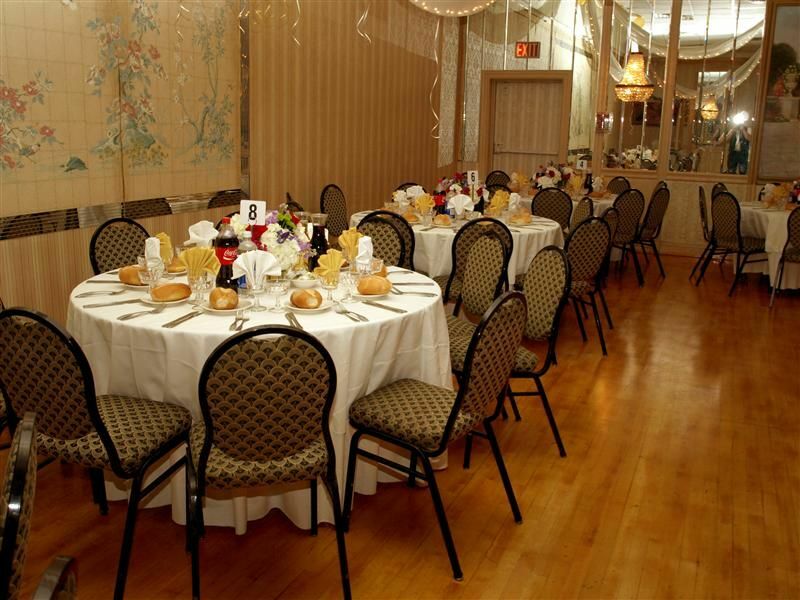 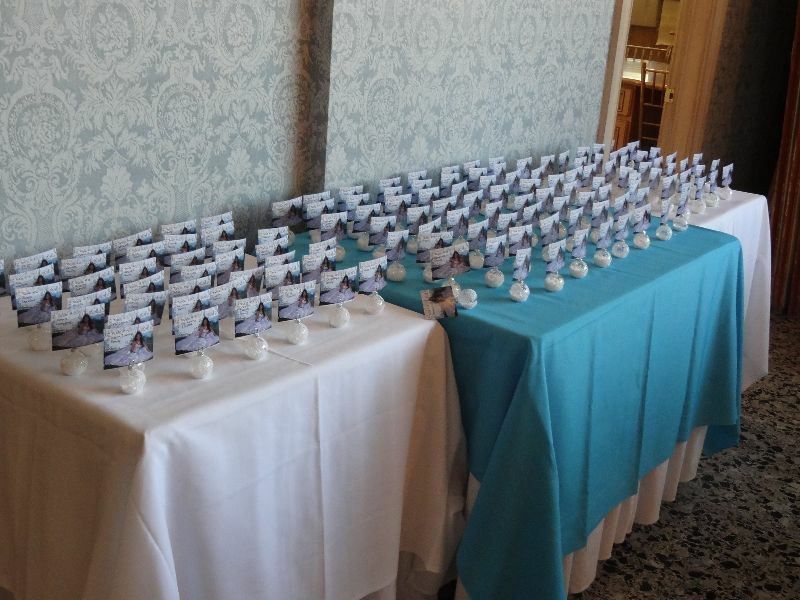 There is ample seating for celebrations, allowing up to 130 guests. 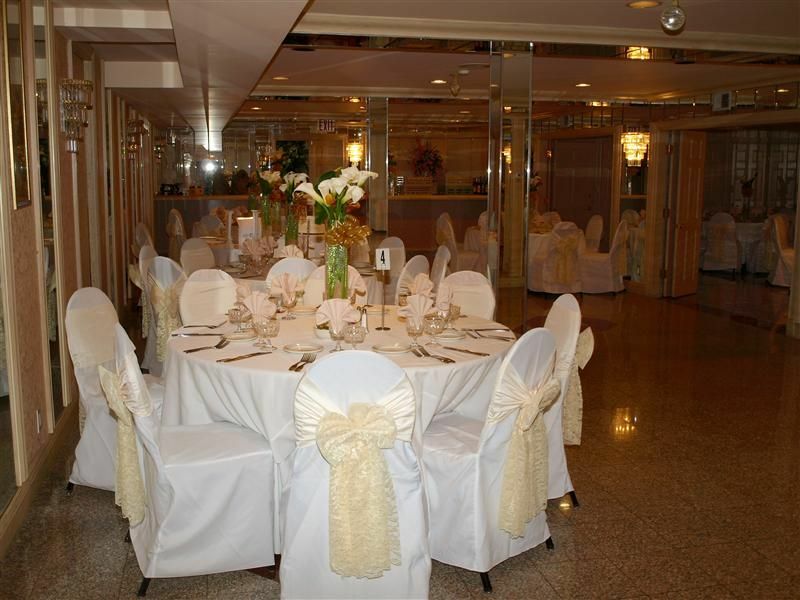 For a more intimate affair, this room creates an inviting feeling for any occasion you are celebrating. 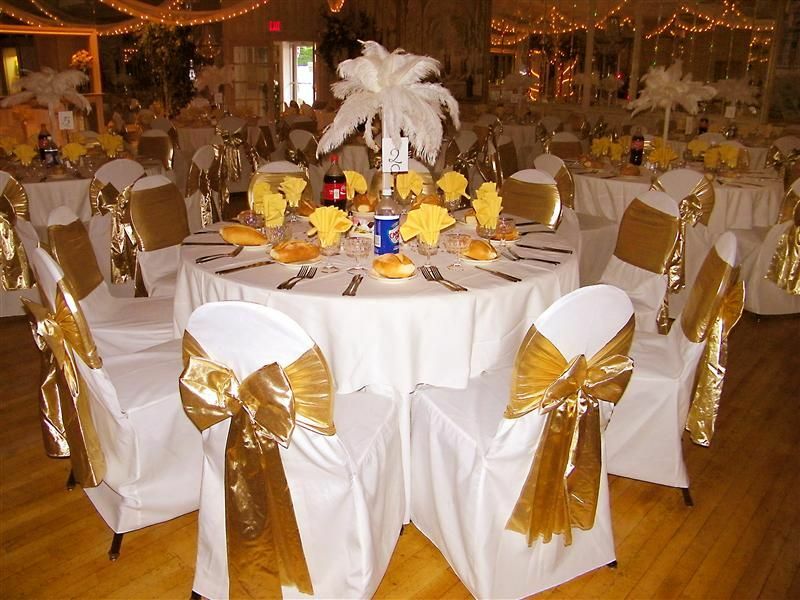 Accented in gold, this is a refined setting for any event. 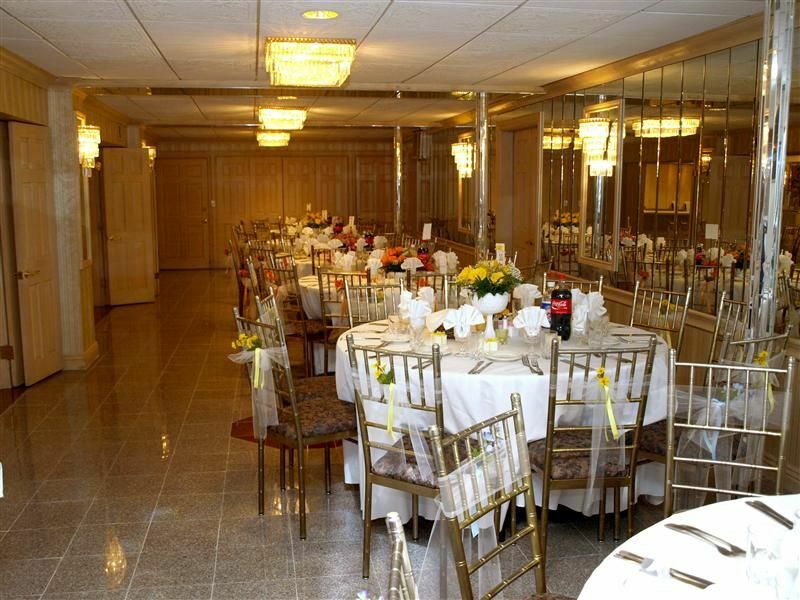 This room accommodates up to 100. 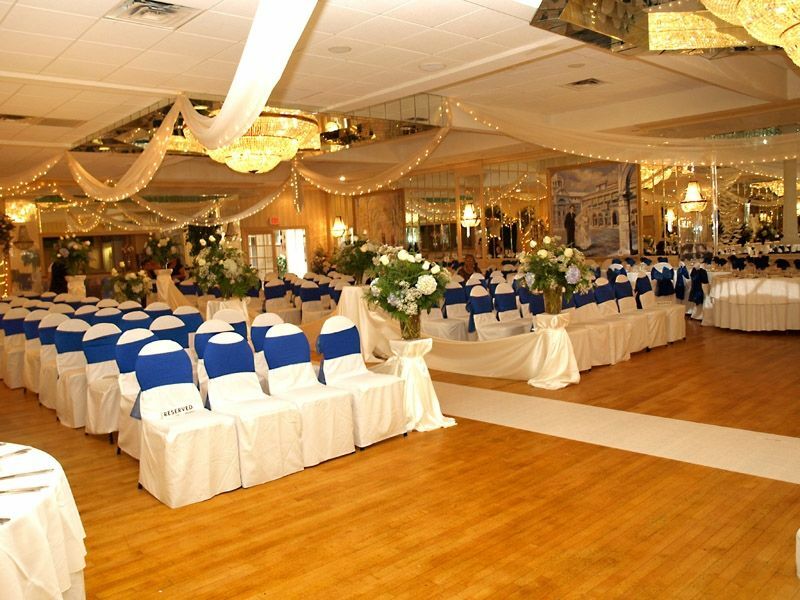 The Venetian holds up to 60 people or can be used as a bridal suite. 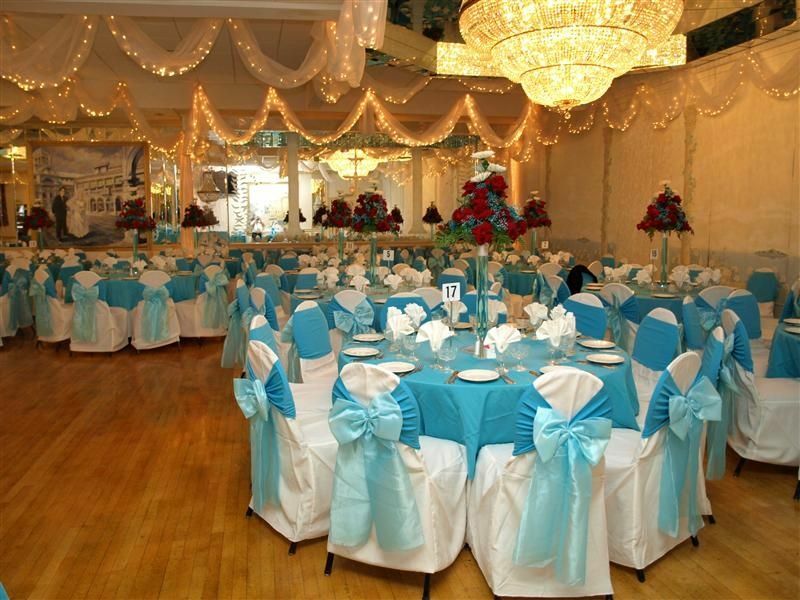 The decor again shows old world charm with new world elegance. 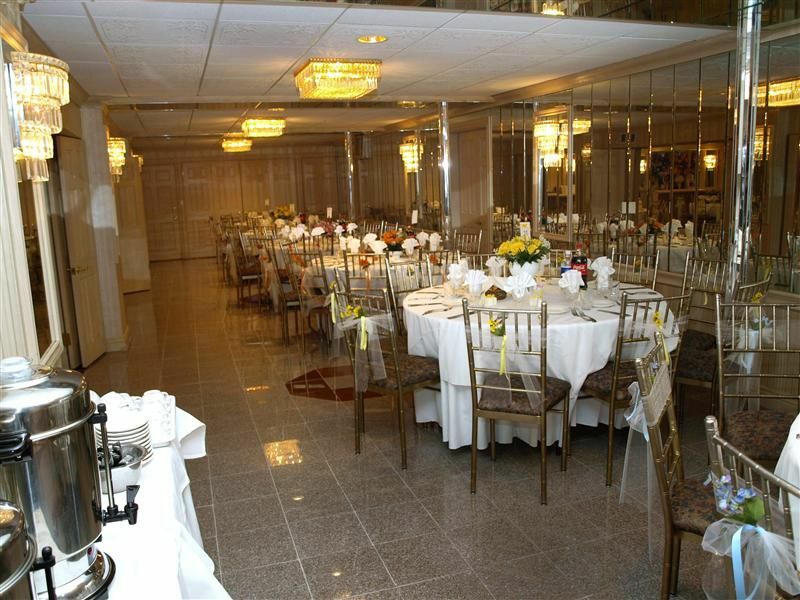 When the Grand Ballroom is being used, we use the suite for our elegant Venetian hour. 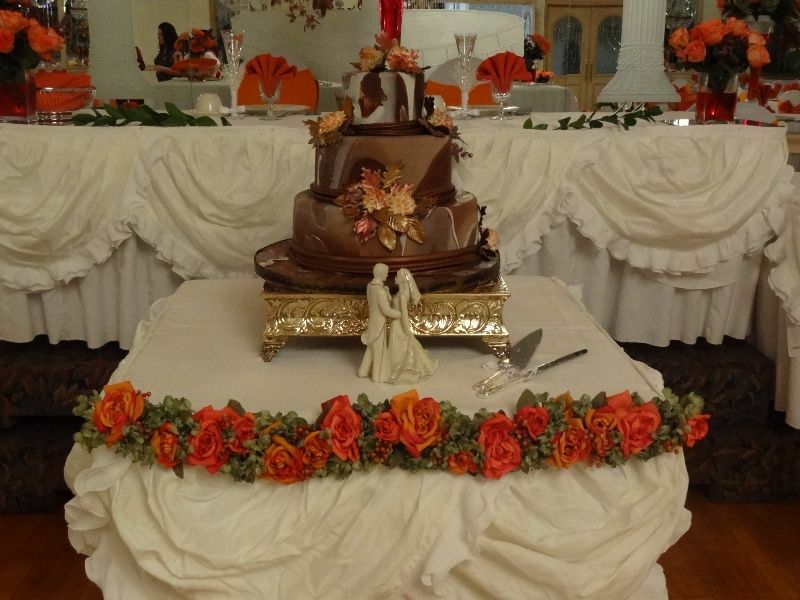 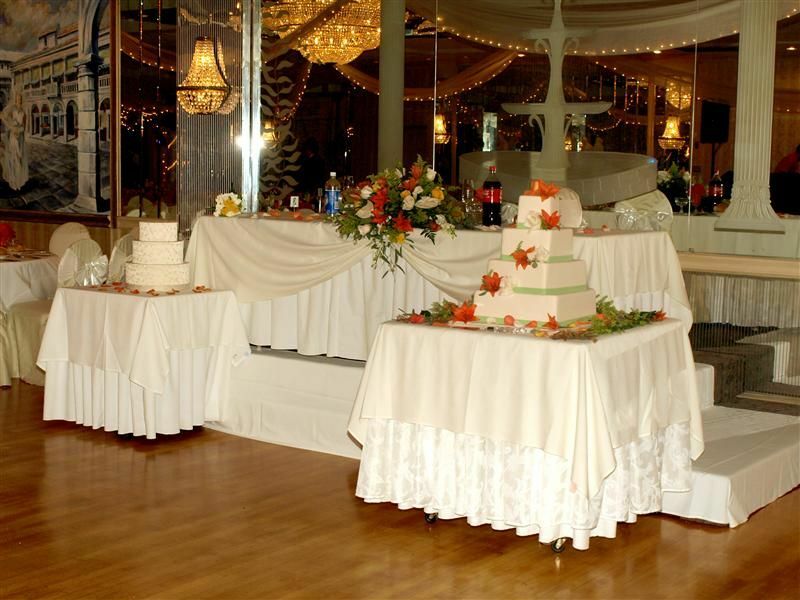 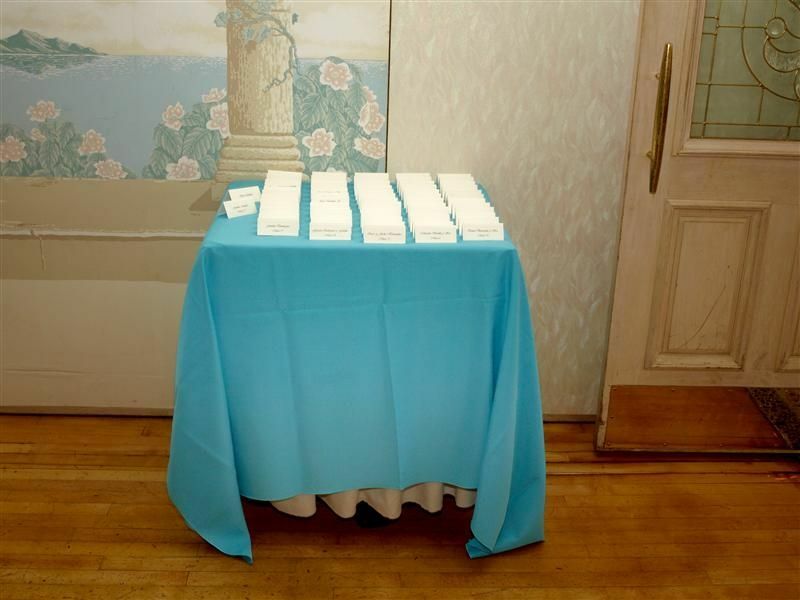 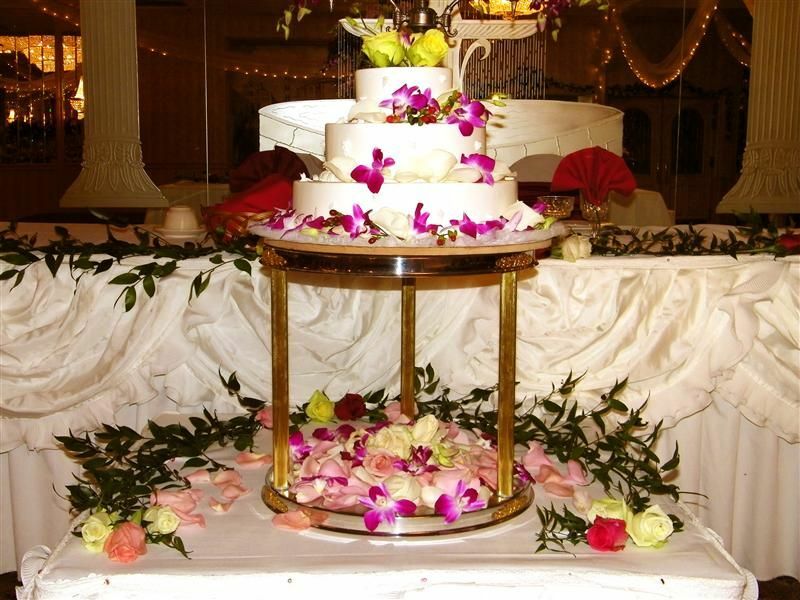 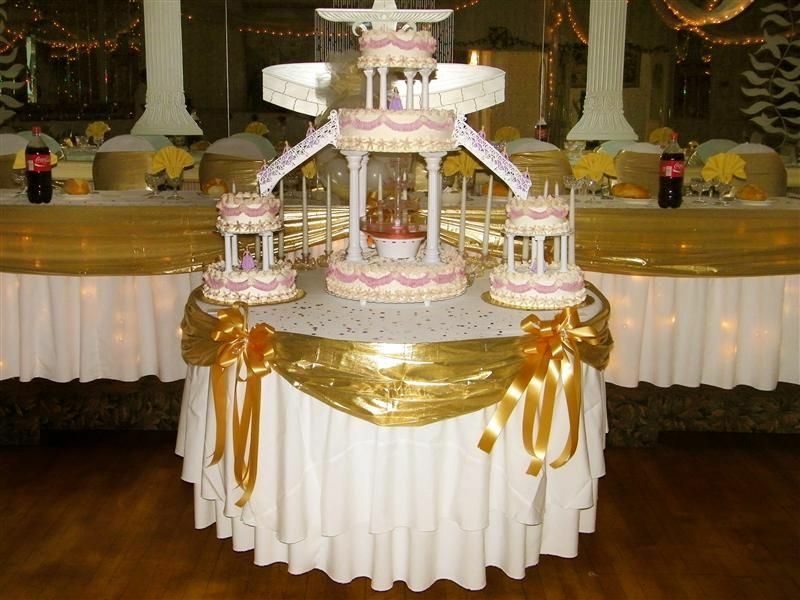 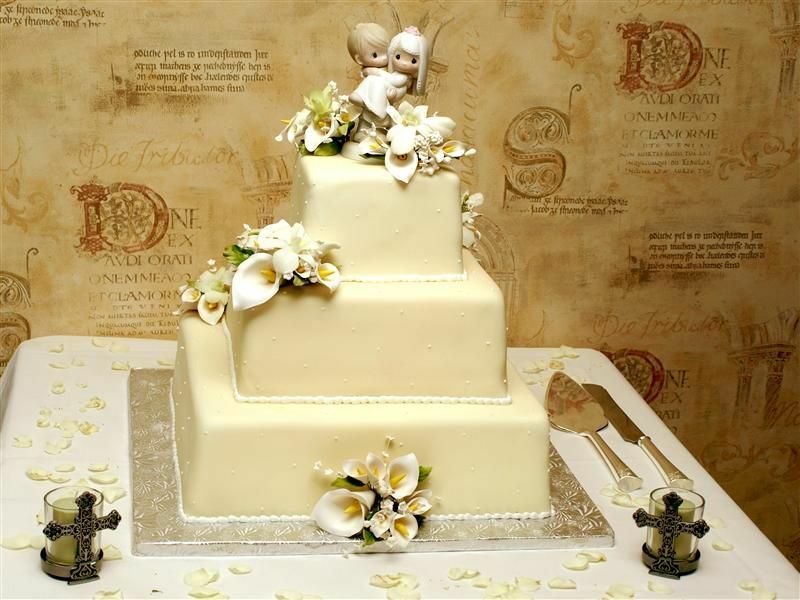 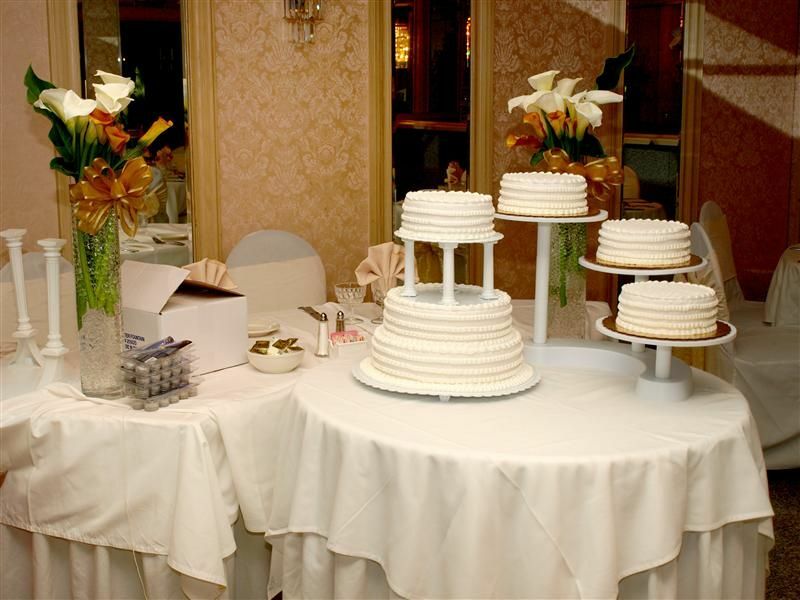 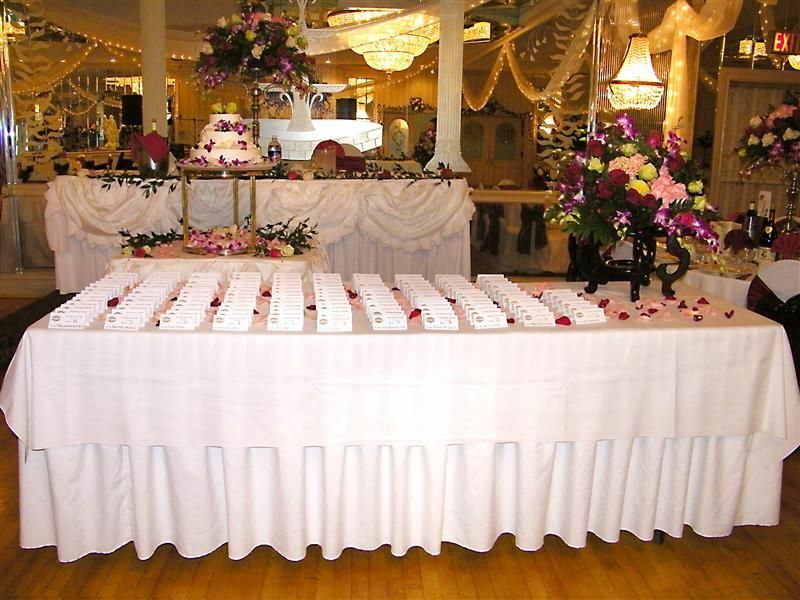 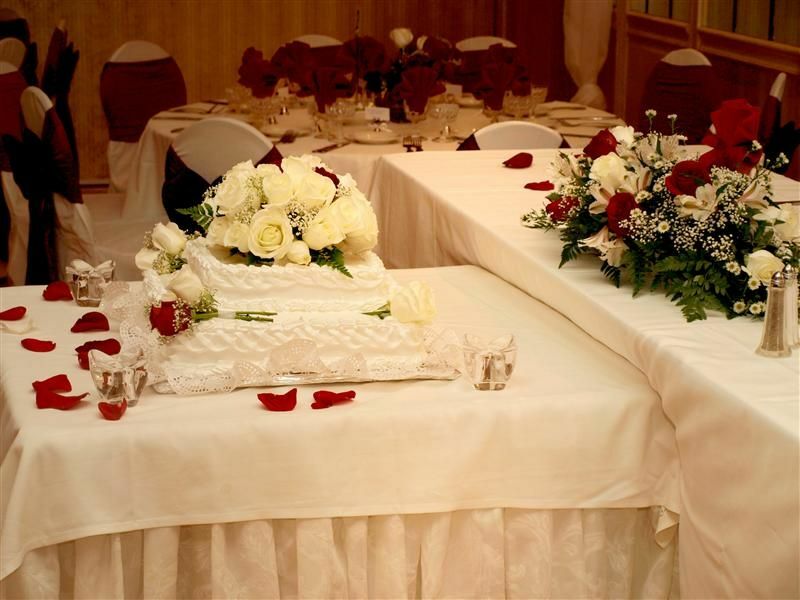 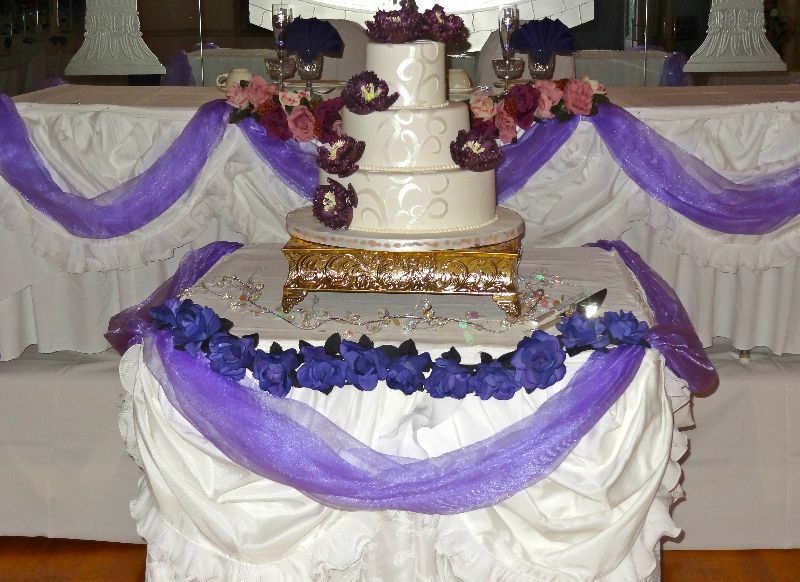 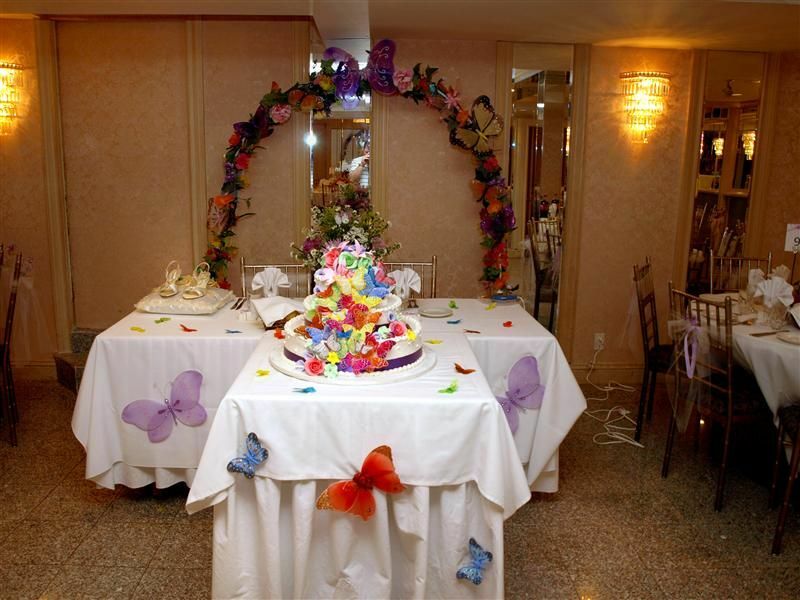 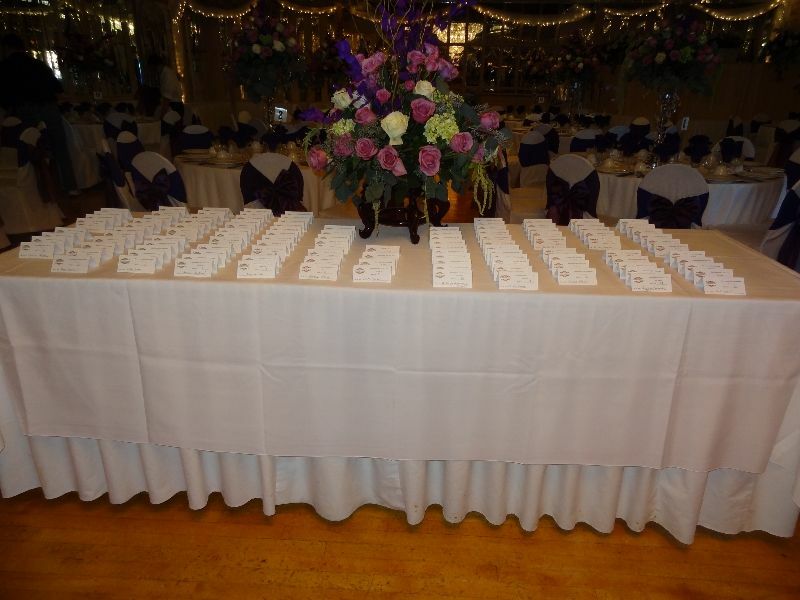 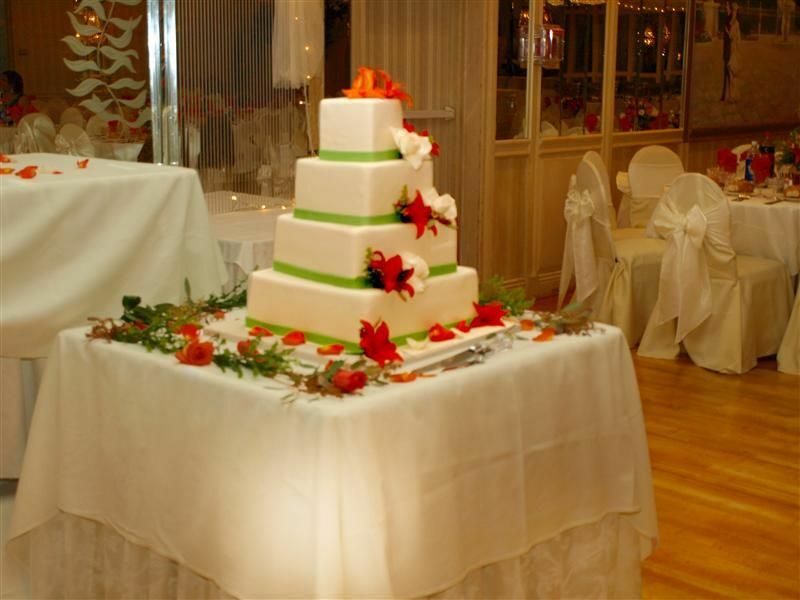 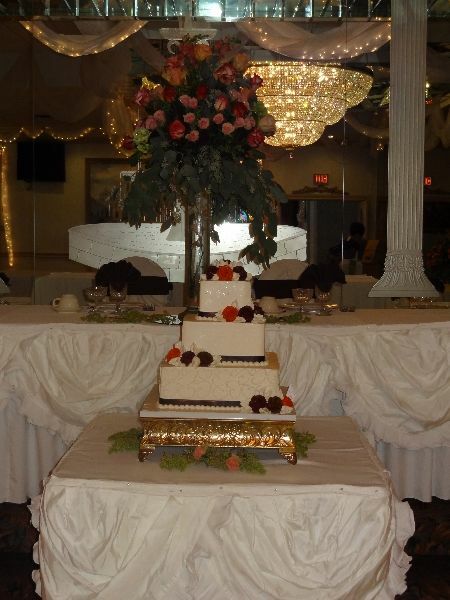 © Copyright 2011 La Fortuna Catering. 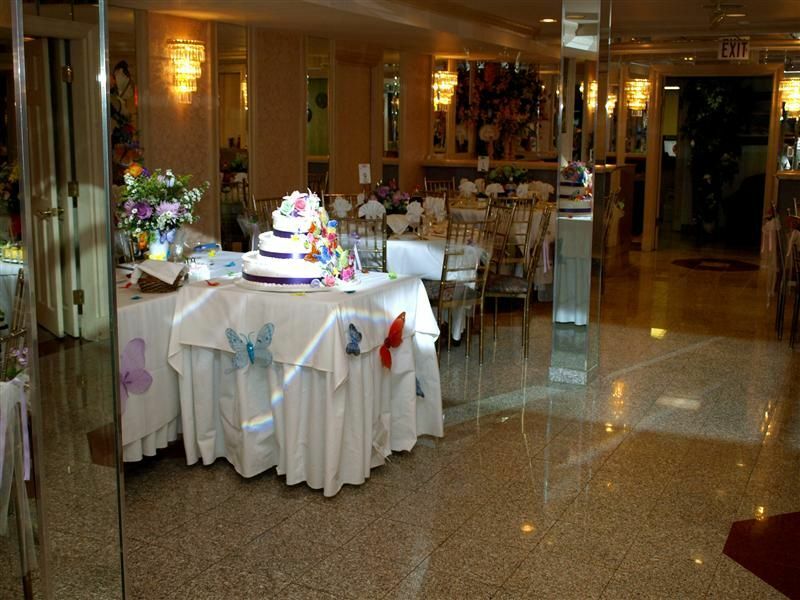 Site by OKtv.si.